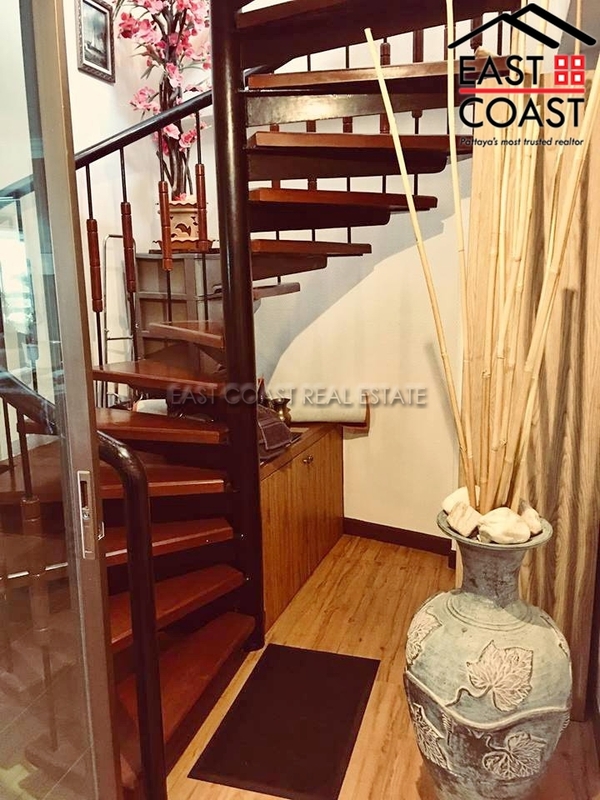 Spanning 227 SQM positioned on the 24th Floor of View Talay 7 is this 3 bedroom 3 bathroom condo with a most delightful outlook. 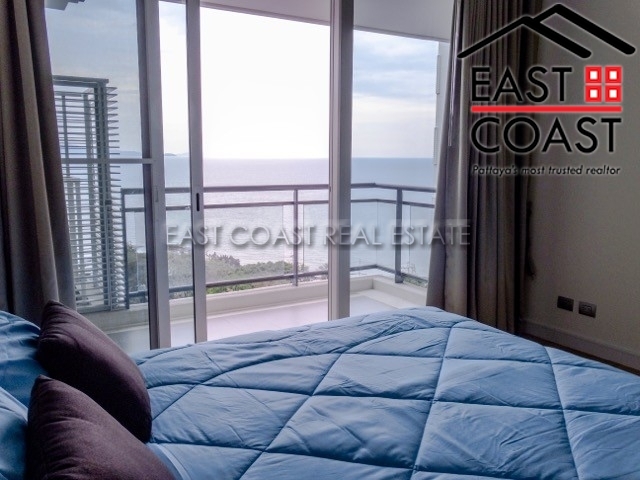 Stunning sea views out to the island of Koh Larn for sunset from the dual aspect balcony really set the tone to this amazing apartment which really does need to be seen to be truly appreciated. 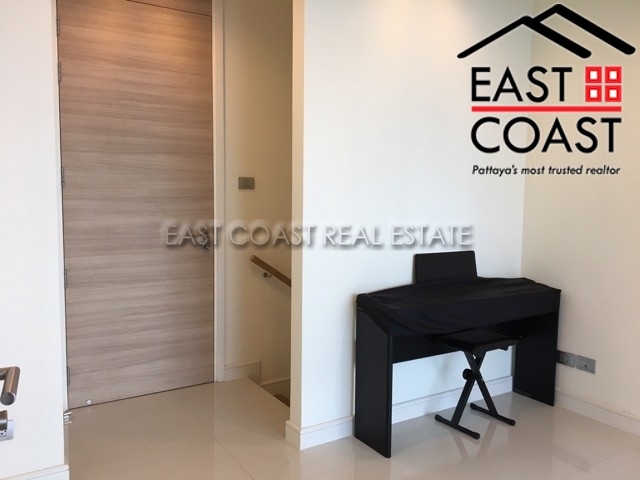 227 SQM is a fantastic floor space to work with and the architect of the building really has impressed with his choice of layout. On entrance the open plan lounge with full dining area is large, open, and, full of light from the dual aspect of the wrap around balcony featuring floor to ceiling sliding doors allowing guests to soak up that sunset sea view. Semi open plan to this is the European kitchen area which has been well fitted with appliances including washing machine. 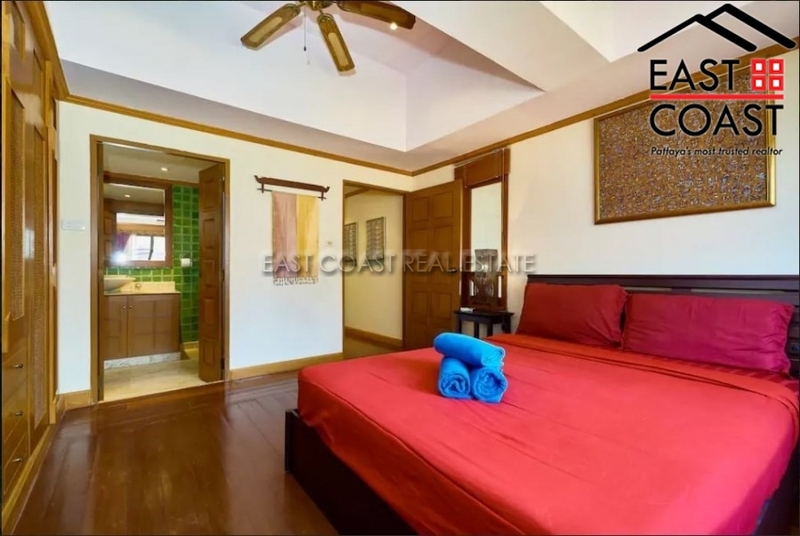 There are 3 large double bedrooms with access to the surrounding private balcony and en-suite bathrooms (master with jacuzzi tub). 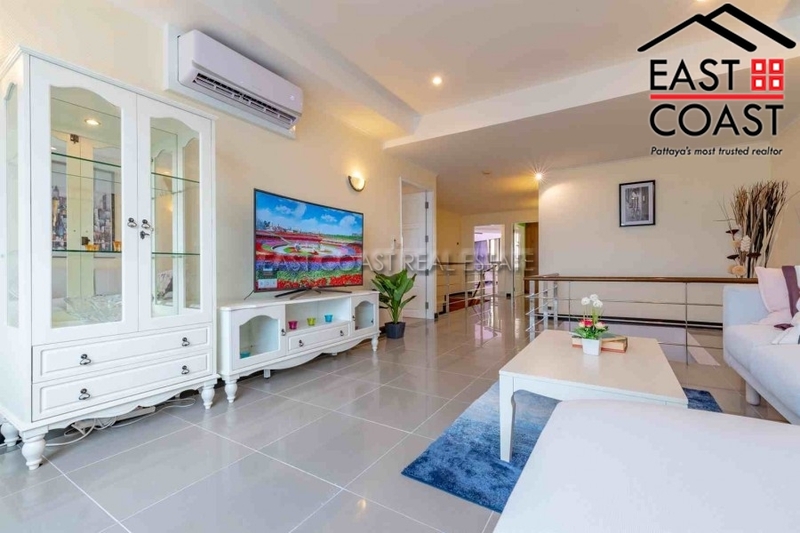 View Talay 7 is located along the baht bus route with a large communal swimming pool, easy access to the beach, CCTV and 24 Hour Security. There are international restaurants, shops and bars a plenty in close proximity to the building as well as 7/11 and other local convenience stores. Offered for sale with Foreign Ownership, transfer fees and taxes to be split 50/50. La Royale Beach and then some!! 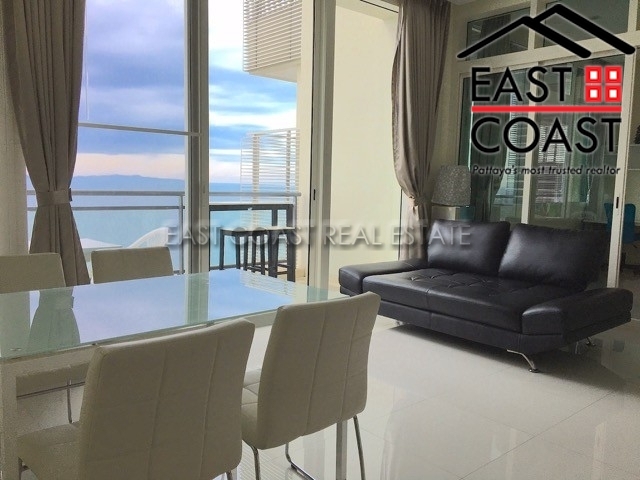 The Thai owner of this condo has really turned a very nice unit into something quite special. Needs to be viewed to fully appreciate the quality and thought that has been put into the unit. 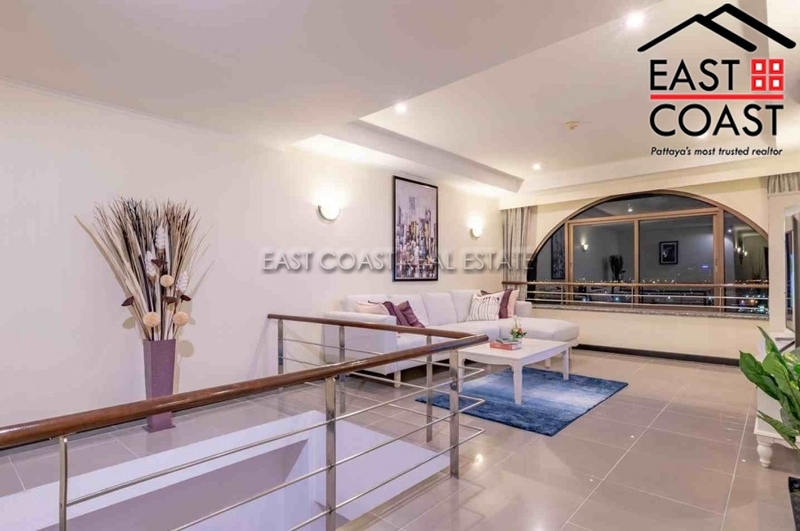 Comprises 3 bedrooms, 4 luxury bathrooms, dining area, spacious living area with full European style kitchen, enormous balcony with Jacuzzi tub and every room offers stunning sea views. The unit is on the 34th floor so great for those that dream of a life in the clouds. 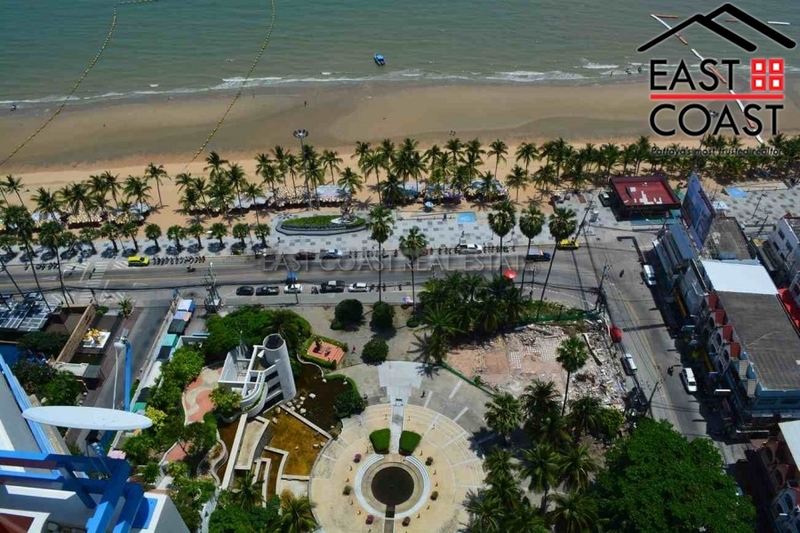 The building is located directly on the beachfront at the tranquil end of Jomtien beach. 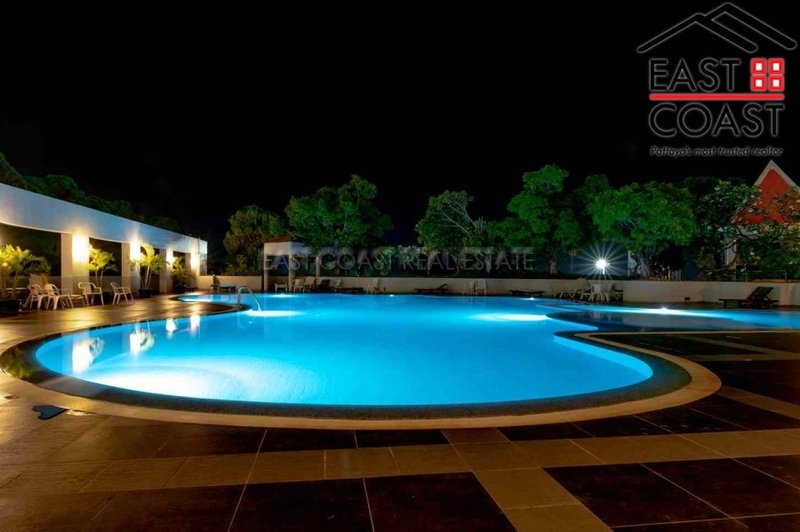 The building has swimming pools, gym, WiFi internet, 24 hour security and covered car parking. The unit is held in Thai name and transfer costs would be split 50/50. La Royale Beach. This 268 sq.m. 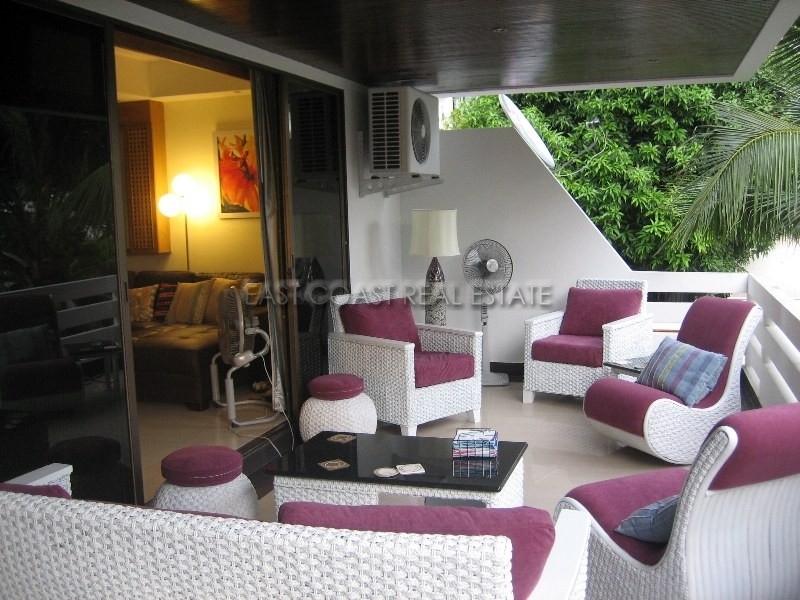 apartment is located in a building with direct beach access at the end of the Jomtien beach. 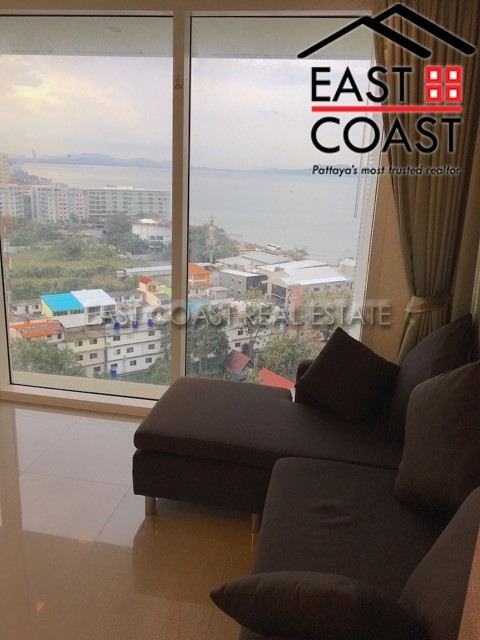 This spacious 3 bedroom condo is situated high up on the 22nd floor and is a centre unit which offers spectacular 180 degree views along both Jomtien North and South Bays, plus the skyline of Pattaya City, and the beautiful islands on the horizon. 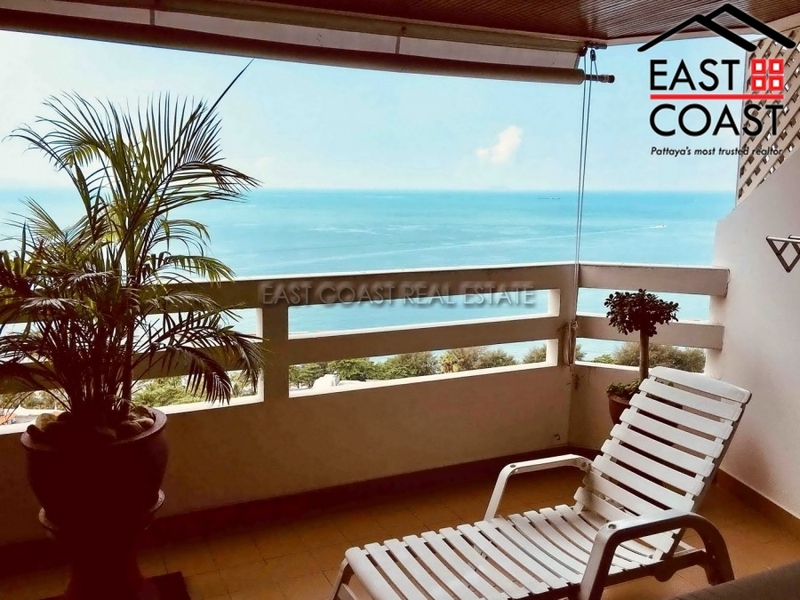 The condo is furnished to a high standard and comes with a fully fitted European kitchen, full air conditioning throughout, enormous balcony with Jacuzzi tub and every room offers stunning sea views. 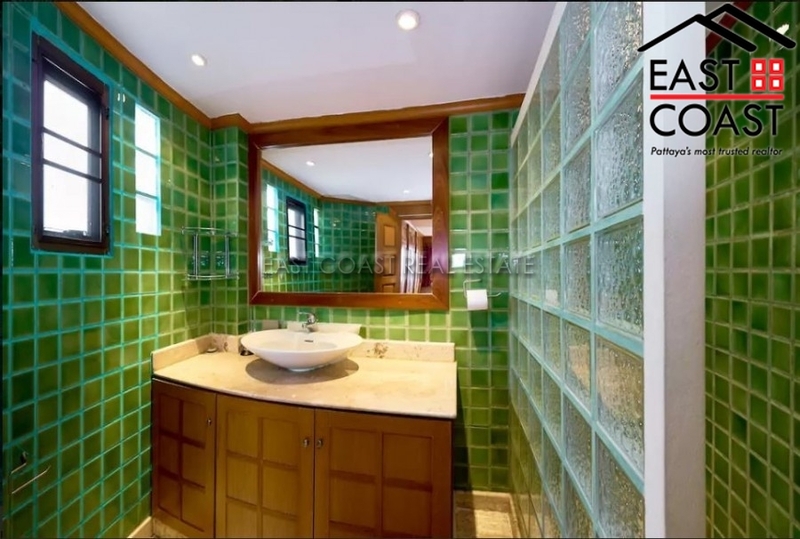 It also comes with maid’s room, utility room and powder room. The building has a large communal swimming pool, gym overlooking the pool, lobby area, 24 hour security and covered car parking. 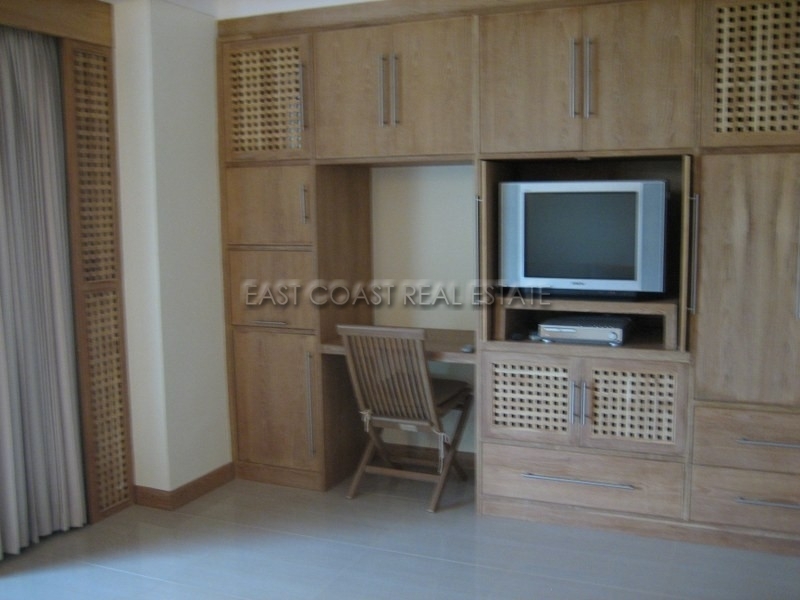 The unit is available for sale fully furnished. Title deed is held in Foreign name and taxes and transfer costs to be split 50/50. Jomtien Complex. 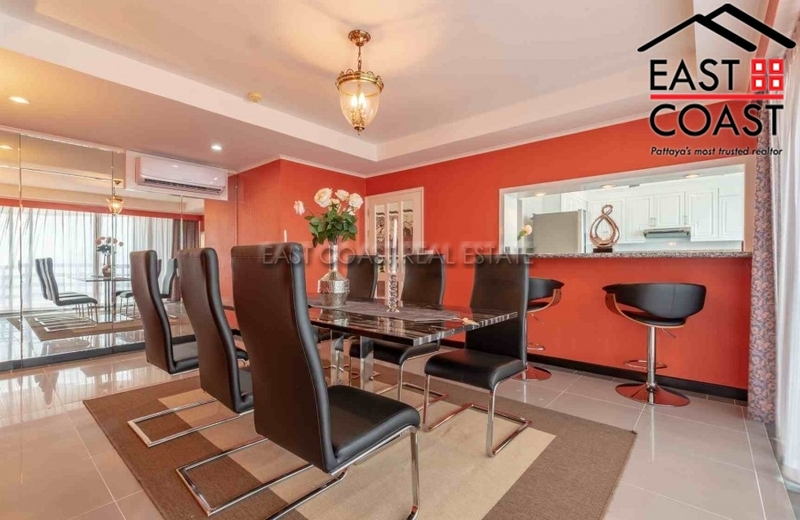 A stunning Penthouse condo unit situated in Jomtien's most popular building! 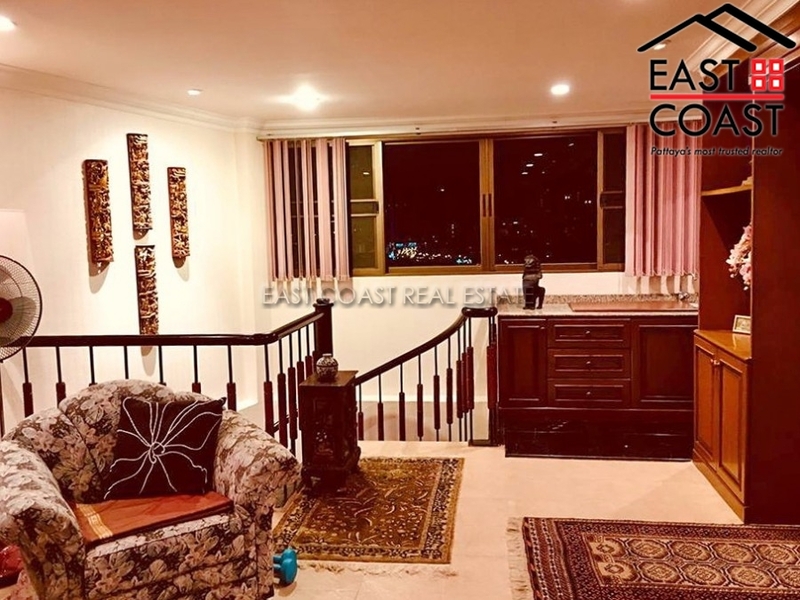 This unit is designed in a duplex style with enormous open plan living area, a fully fitted European kitchen, maid's room, store room and spacious balconies with panoramic views! 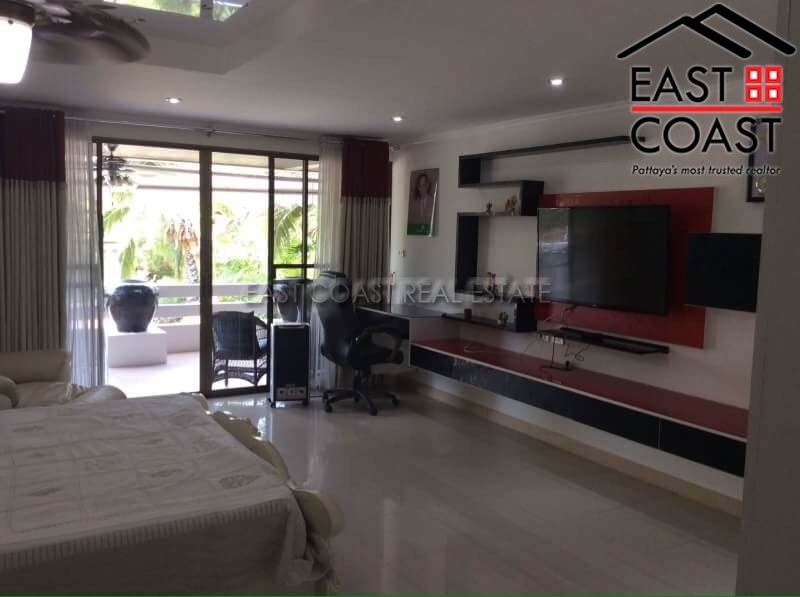 The second floor features four bedrooms with built-in wardrobes and three bathrooms with one of them having an open air shower offering superb views of Pattaya City and the ocean! 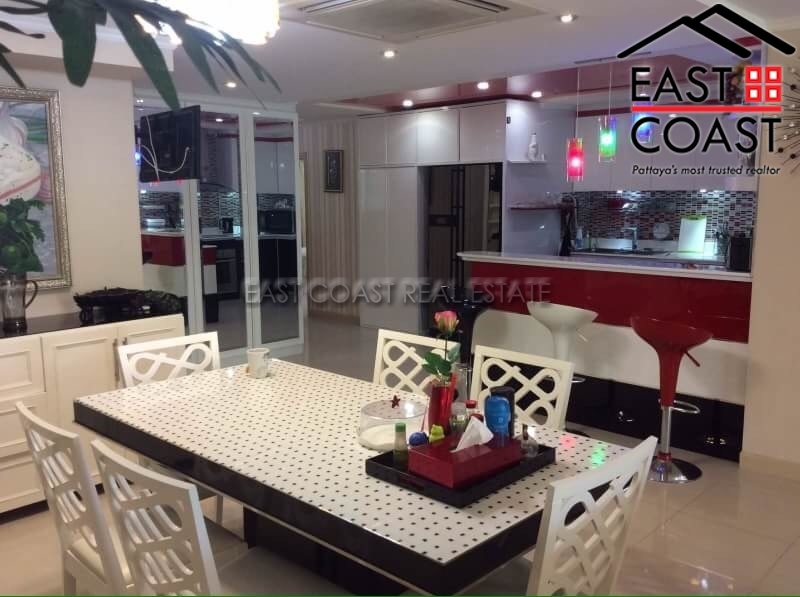 This renovated unit is for sale with all fittings, fixtures and furniture included. 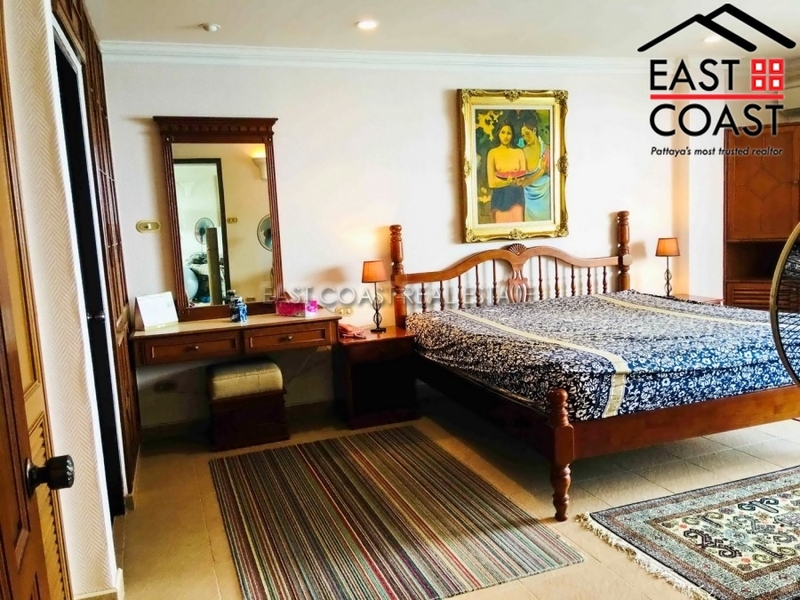 It is also equipped with free Cable TV and full air conditioning. 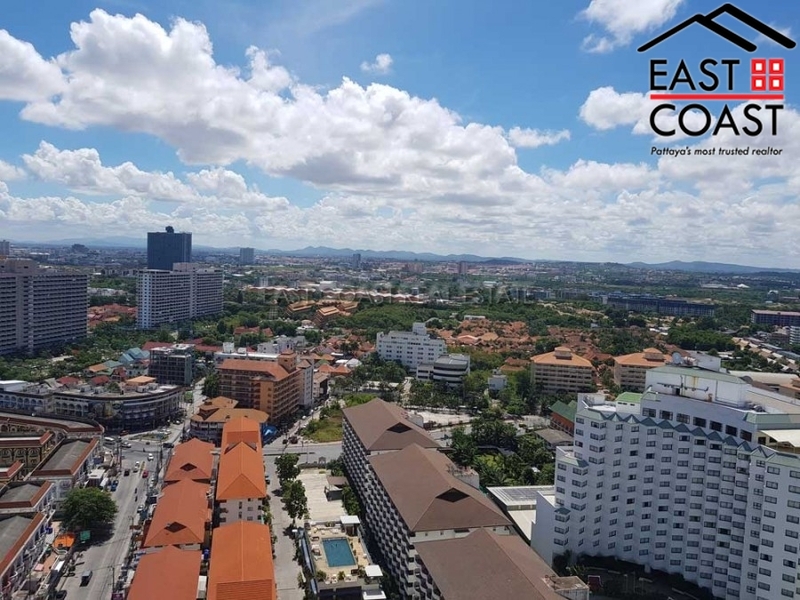 The condominium is located right at the corner of Jomtien Beach and is within walking distance of all of Jomtien's amenities as well as the famous Dongtan Beach. 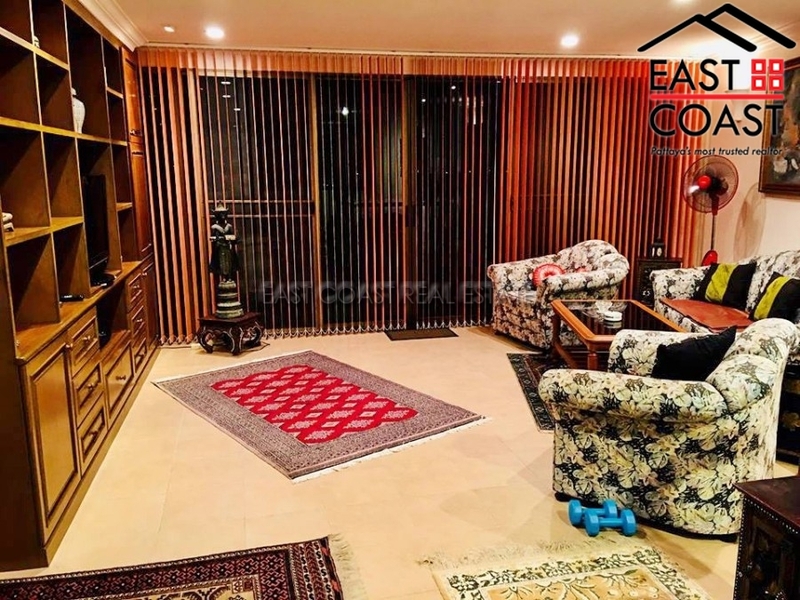 The building itself is well maintained and has 24 hour security, CCTV, communal swimming pool, ample car parking, 2 tennis courts, sauna, fitness and games room. Title deed is currently held under Thai Company name but needs to be transferred out with tax & transfer fees split 50/50. 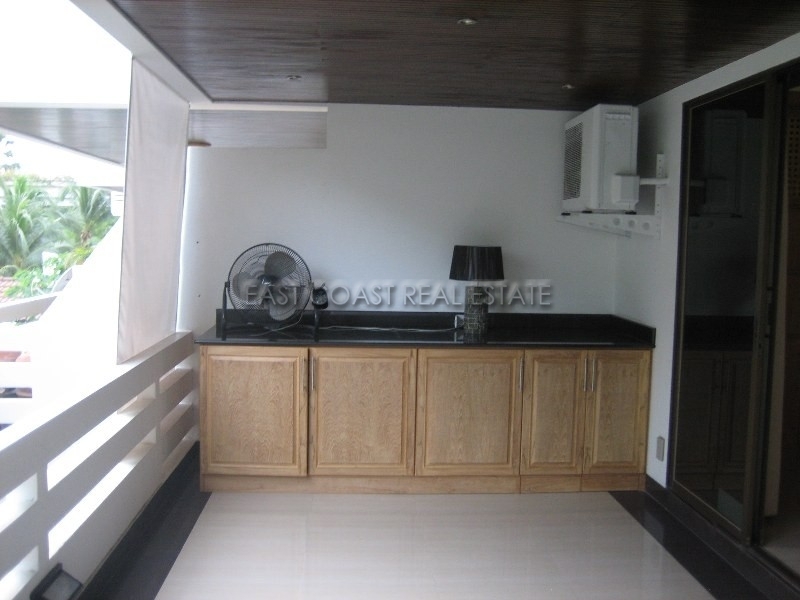 The owner will consider renting the unit on a long term basis with rental price at 100,000 Baht per month. Must be seen to be appreciated!! La Royale Beach. 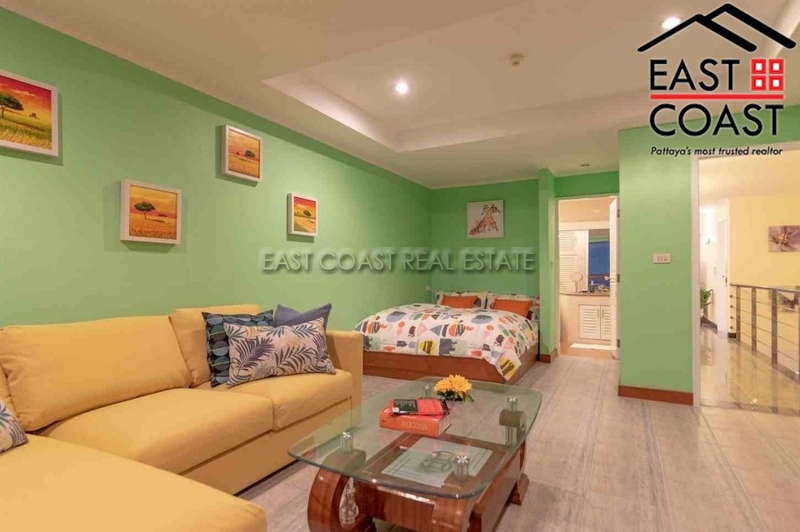 This spacious, luxury 3 bedroom condo unit is located in a building with direct beach access at the end of the Jomtien beach. 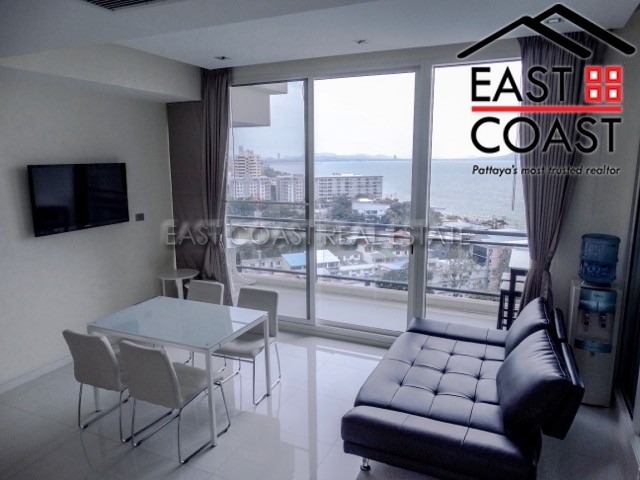 The unit is located high up on the 17th floor and is a centre unit which offers spectacular 180 degree views along both Jomtien North and South Bays, plus the skyline of Pattaya City, and the beautiful islands on the horizon. 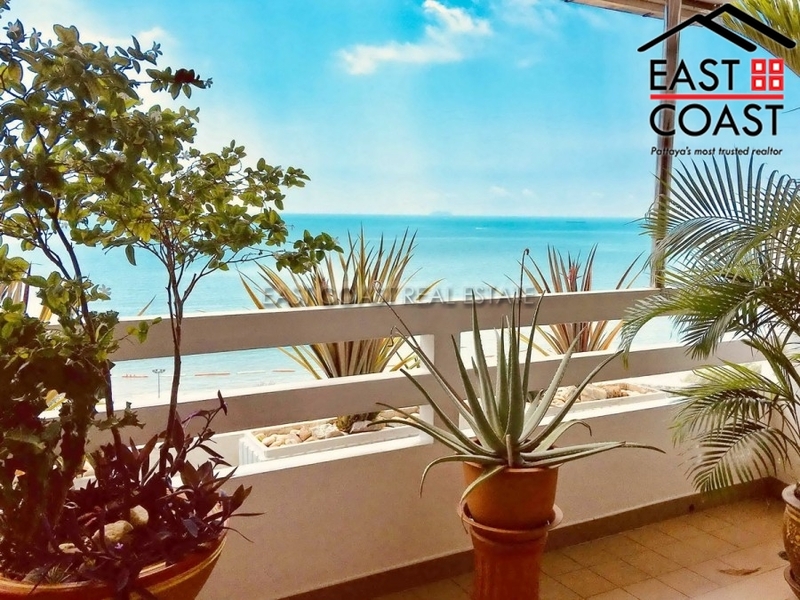 Sold fully furnished this unit features a fully fitted European kitchen, large spacious open plan dining and living area, enormous balcony with Jacuzzi tub, maid's quarters and stunning sea views from every room. 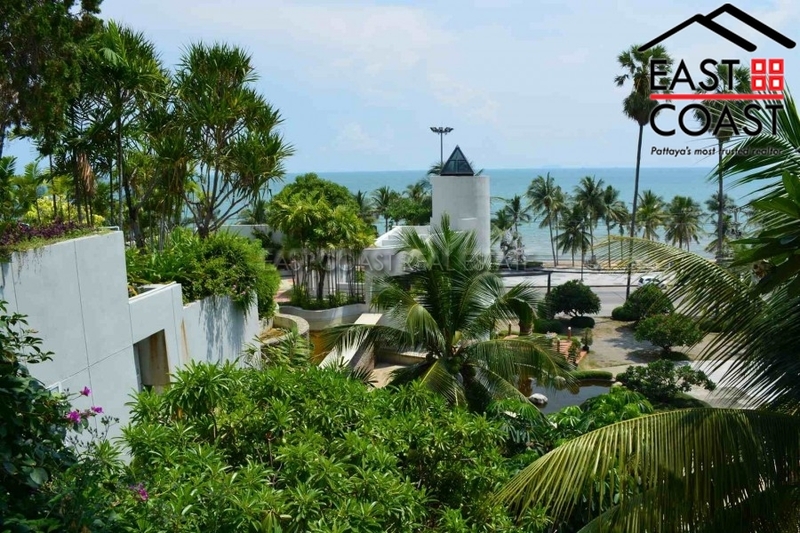 The building is located directly on the beachfront at the tranquil end of Jomtien beach. 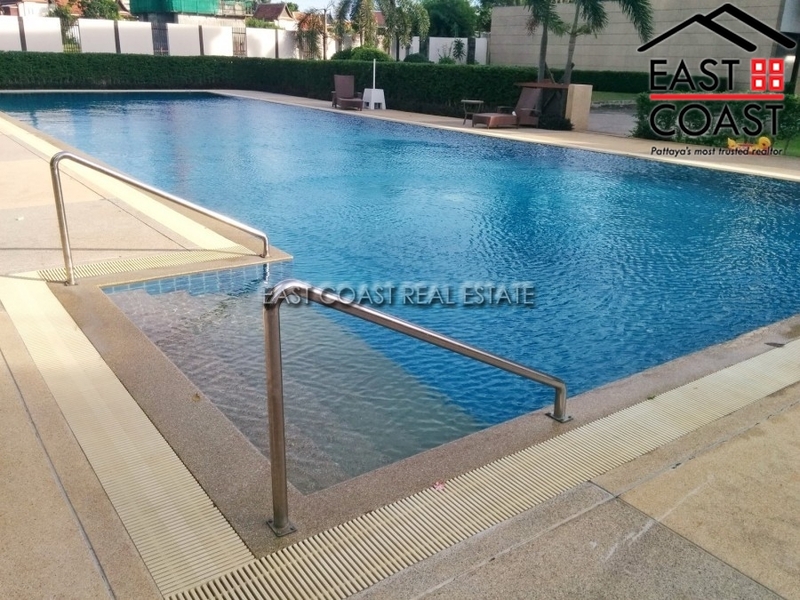 The building has swimming pools, gym, wifi internet, 24 hour security and covered car parking. The unit is held in foreign name and transfer costs would be split 50/50. Montrari Penthouse. This penthouse oozes quality and style. Encompassing the entire 6th floor of the Montrari boutique-style complex, and cited on 282m², this apartment has had no expense spared. 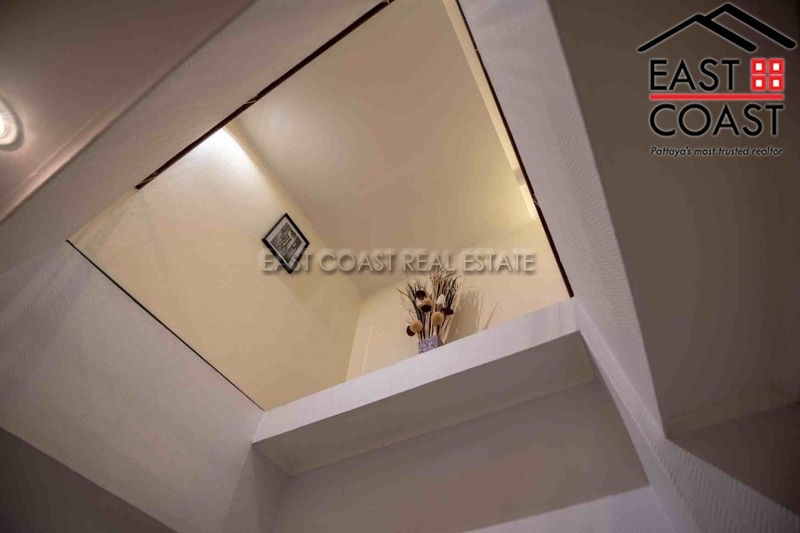 The architect has ensured that there is a great flow through the property, utilizing the space to its utmost. 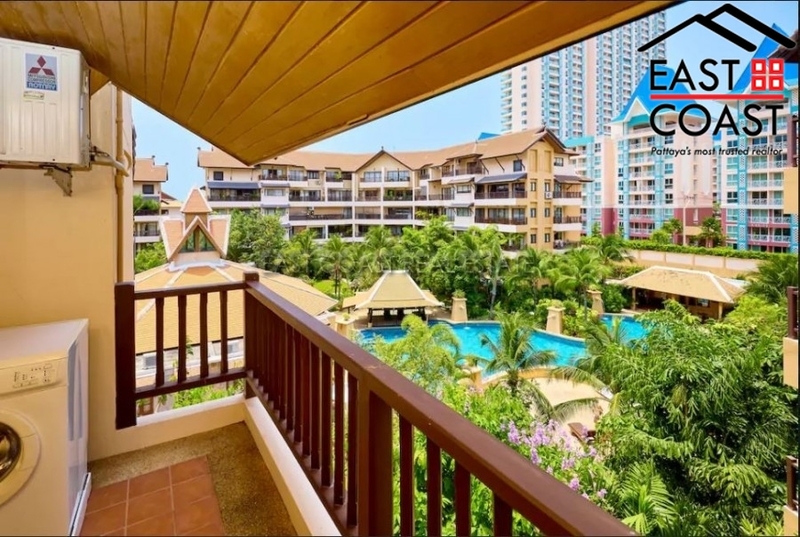 Montrari Condominium is located at the peaceful south end of Jomtien Beach, just 50 metres from the beach. 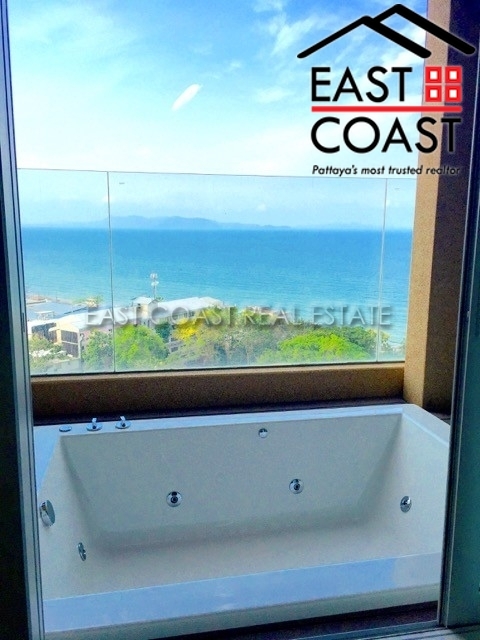 This in itself is an extremely rare commodity, with its uninhibited panoramic views from Jomtien down to Bang Saray. 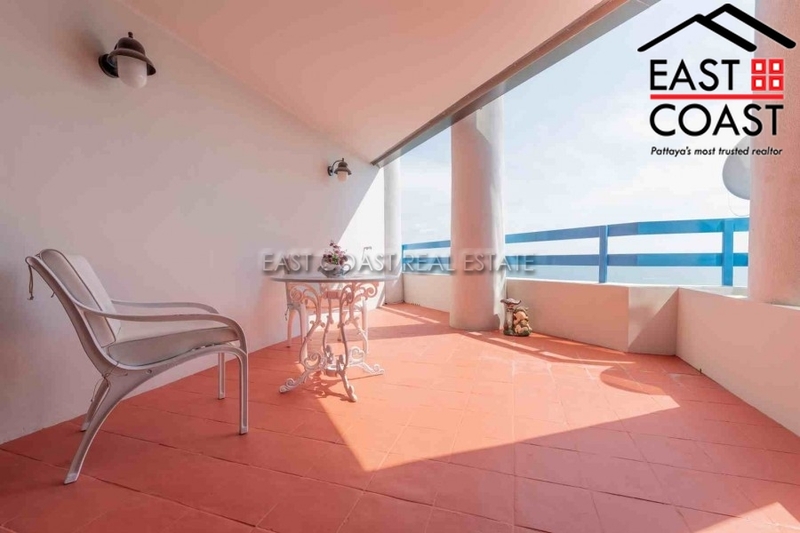 The beautiful beach views and sunsets can be appreciated from the many balconies. 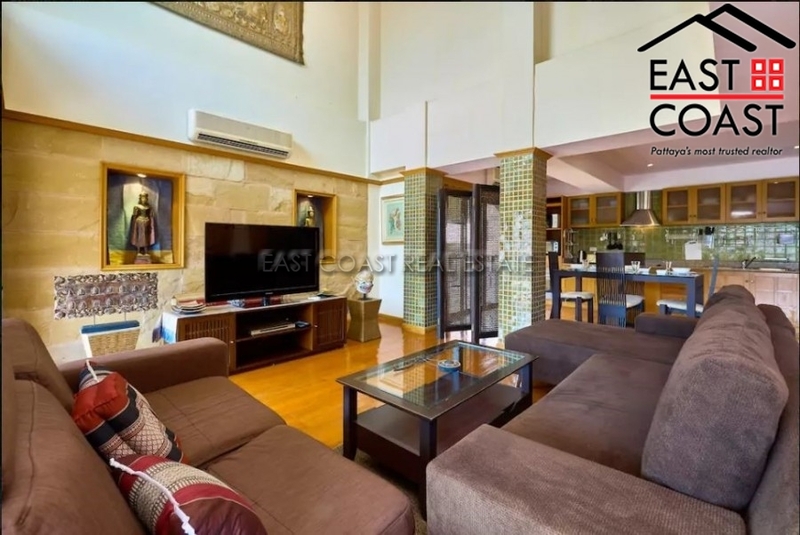 The penthouse comprises 3 bedrooms, all with en-suites, and a huge open-plan living and dining area, all kitted out with the latest HD TV’s, including a 55” and sound system in the living area. Not to be outdone, the chic furnishings finish the look off to an extremely high standard. 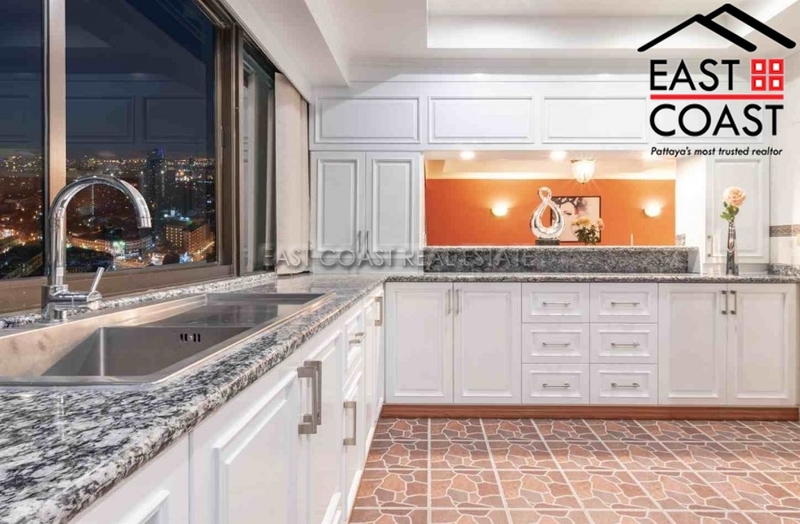 The kitchen is beautifully crafted with marble work surfaces and stainless steel appliances throughout. Any budding chef will fall in love with it. The Montrari comes with swimming pool, concierge service, laundry service, restaurant and covered parking. 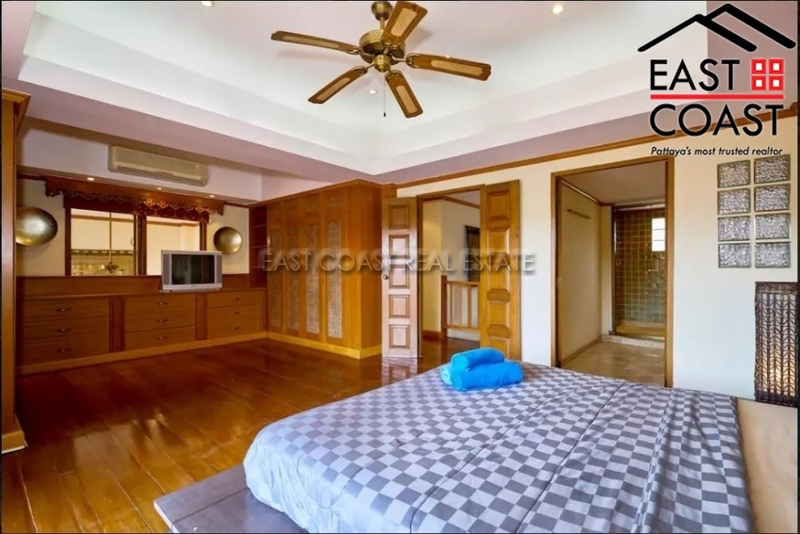 The owner has dropped the price 3,000,000 Thai baht, and, as it is in Thai company name, there'll be no need for any expensive transfer costs. 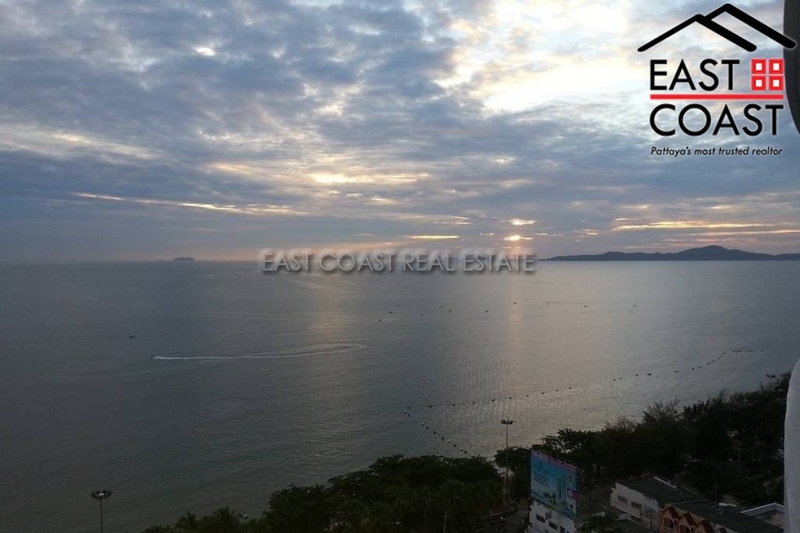 "HUGE PRICE REDUCTION FROM 24,500,000 BAHT TO 18,900,000 BAHT" Jomtien Plaza. 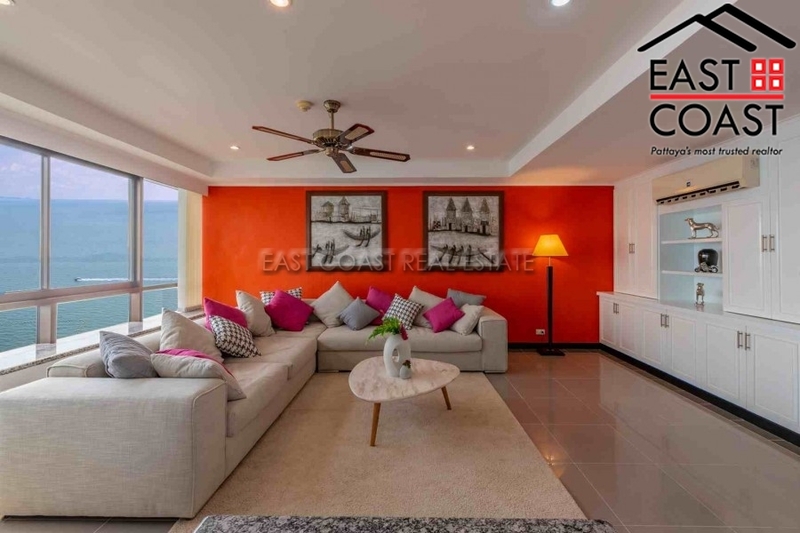 This "Duplex Penthouse" apartment is situated on 29th and 30th floor of this high rise condominium complex, and offers stunning views of the ocean and Jomtien beach. 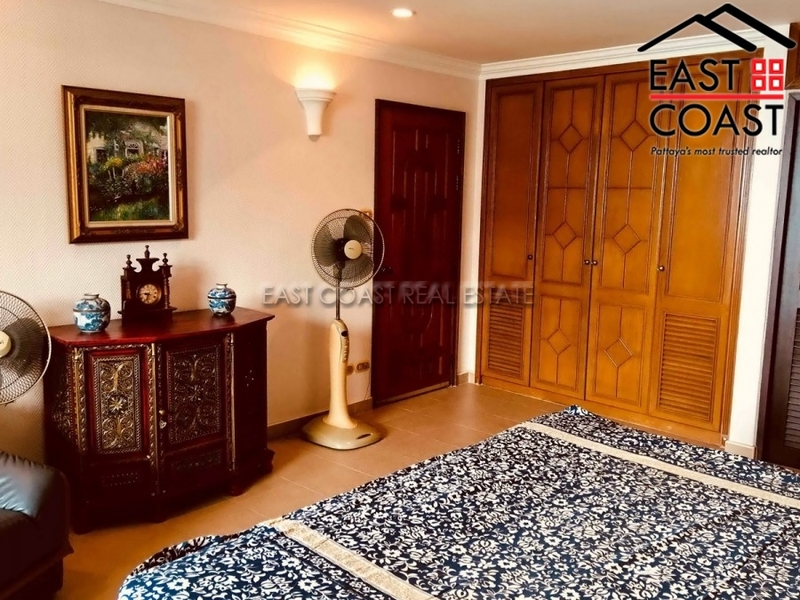 Situated right in the heart of Jomtien this building is only a stone throw from the Jomtien beach and has easy access to all of the local amenities. This 289 sq.m. 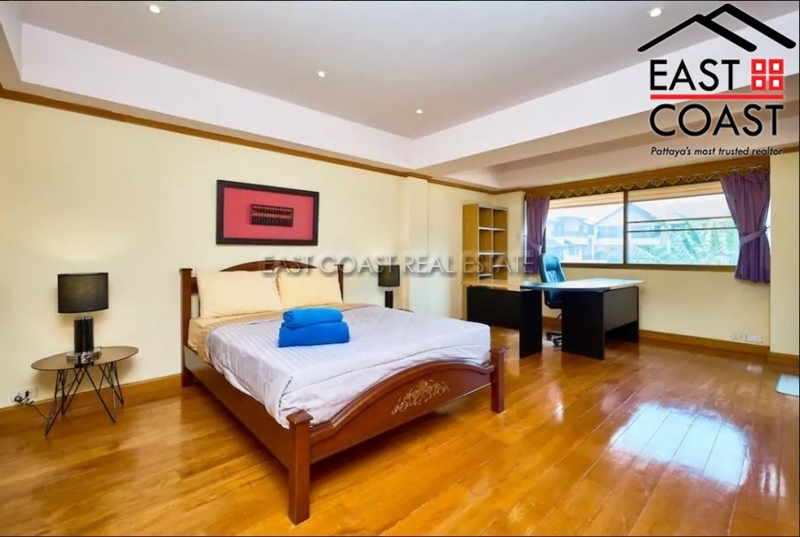 condo has been completely renovated and features 3 bedrooms, 4 bathrooms, 2 living rooms, 3 balconies, European kitchen with dishwasher, laundry room and 2 store rooms. 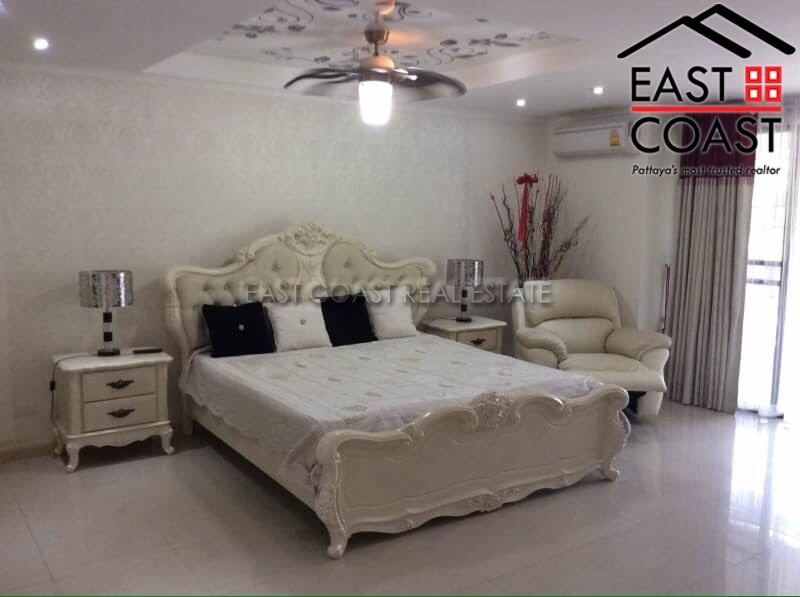 It is available for sale fully furnished and comes with full air conditioning throughout, ceiling fans, quality bathrooms. The building itself has 24 hour security, covered parking, large communal swimming pool and garden area. Title deed is held in Foreign name ownership with taxes and transfer to be split equally between both parties. Reflection. 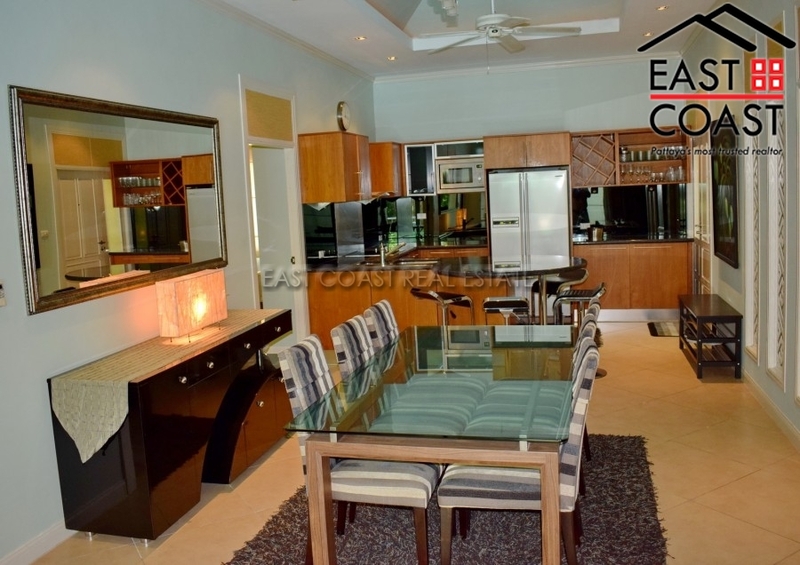 A luxurious condominium development located along the beach road of Jomtien. 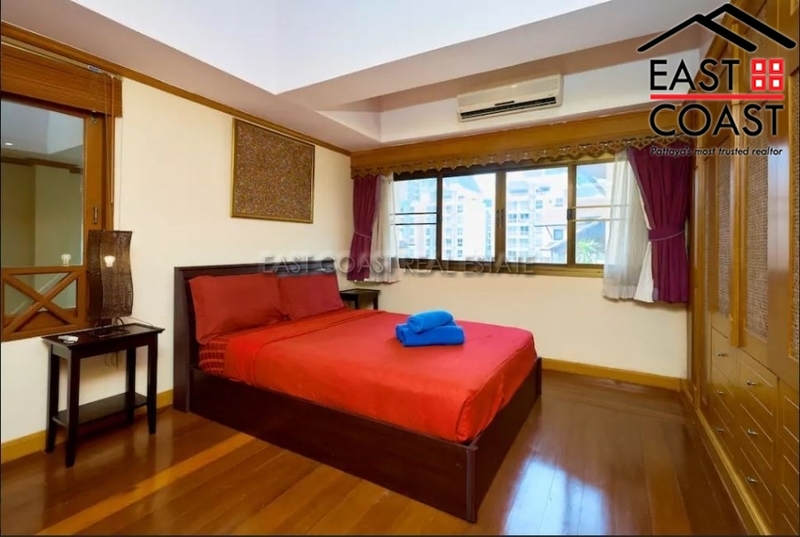 It is conveniently situated close to several Thai and International restaurants, local shops, plus it has easy access to Sukhumvit Road and quick exit to the highway via Huay Yai. 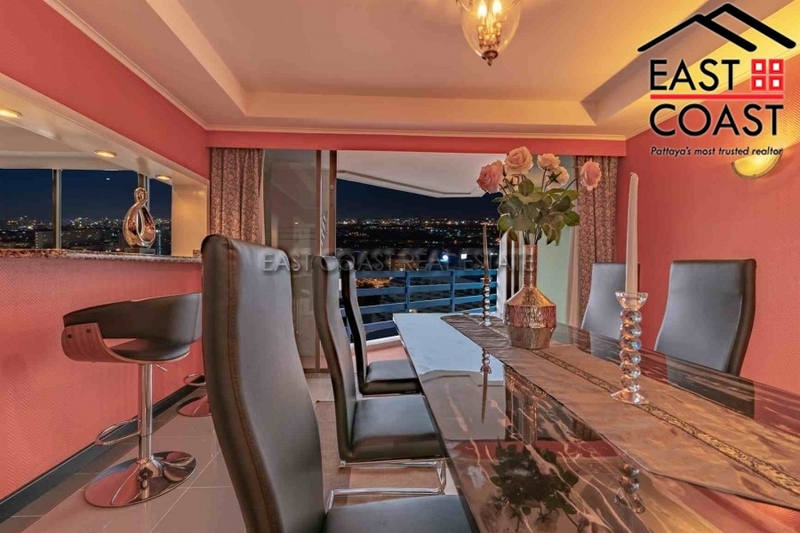 A unique, duplex apartment situated on the 10th and 11th floor of this high rise development. 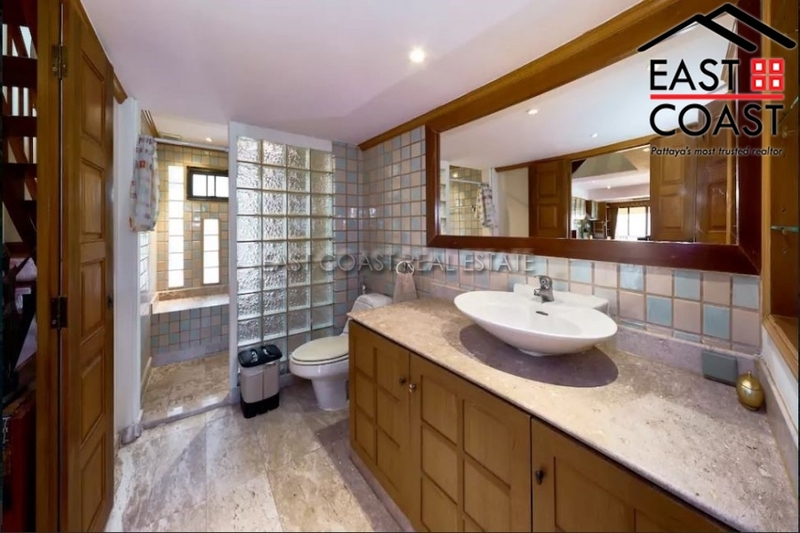 The apartment offers 4 bedrooms and 2 bathrooms, covering an area of approximately 150 m². 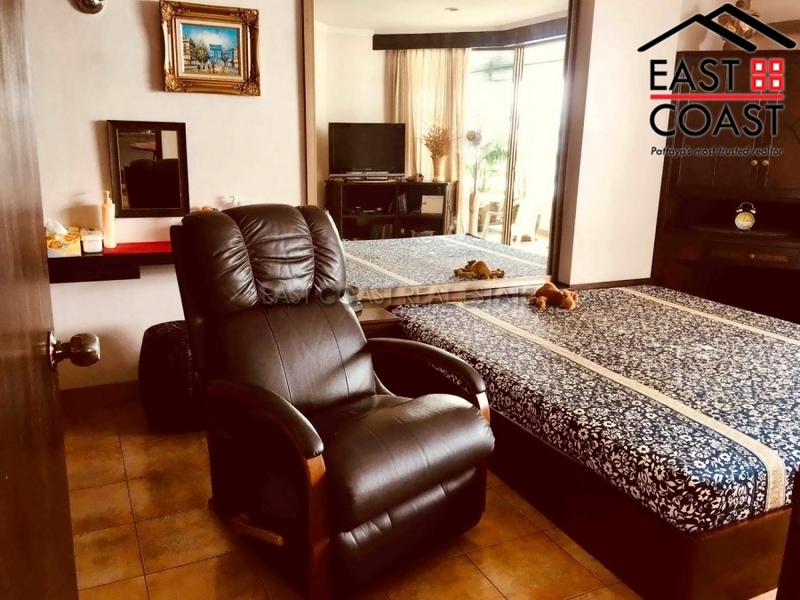 The apartment is available fully furnished and offers stunning sea views from all rooms, Jacuzzi on the terrace, fitted European kitchen, built-in wardrobes, air cons, and quality bathrooms. The development offers state of the art facilities, such as: * Luxury 6 Star Hotel Standard Drop-Off Area * Grand Lobby Pavilions and waiting area * 50 M Lap Pool * Floating Clubhouse with Aqua Gym * Fitness Center with state-of the-art equipment * Outdoor Putting Green * Business Center * Function room * Separate male and female sauna rooms * Separate male and female steam rooms * Tennis Court * Self Service Launderette * Jogging Track * Sand Pit * Game Room * Yoga/Aerobic room * Pool Table * Cigar Terrace * Retreat Alcove * Private Salas and Cabanas * Spa Pavilions * Entertainment Pavilions * Social Pool * Swimming pool with whirlpool seat and bubble-jet spa (Ozone System) * Play Pool with Interactive Jets (Kid’s pool) * Rain Shower Pavilions * In-water sun deck with adjacent cooling pool * In-water pool seat * Sun deck with adjacent cooling pool * Outdoor garden with BBQ corner * Kid’s playground (indoor and outdoor) * CCTV for security purpose: in the unit that allows you to see the inside of the apartment via internet from anywhere in the world!! It is available for both rent or sale. 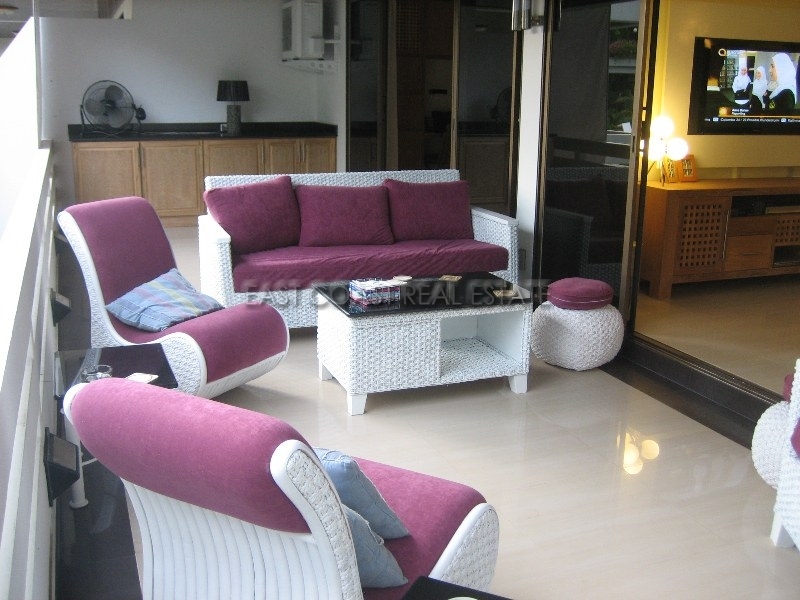 Rental of minimum 6 months at 70,000 Baht per month with 2 months security deposit. Title deed is held under Foreign name ownership and transfer costs to be split equally between both parites. Royal Hill Condo. 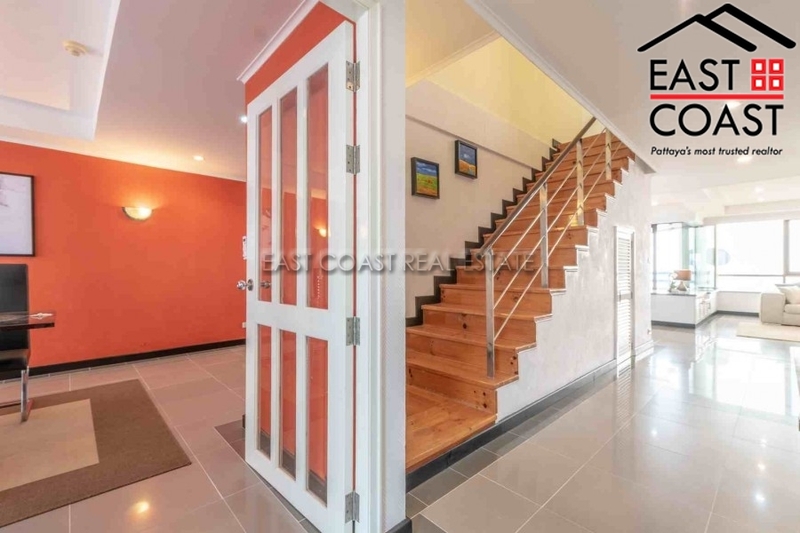 A completely unique 3 floor duplex totaling over 350 sq.m!! 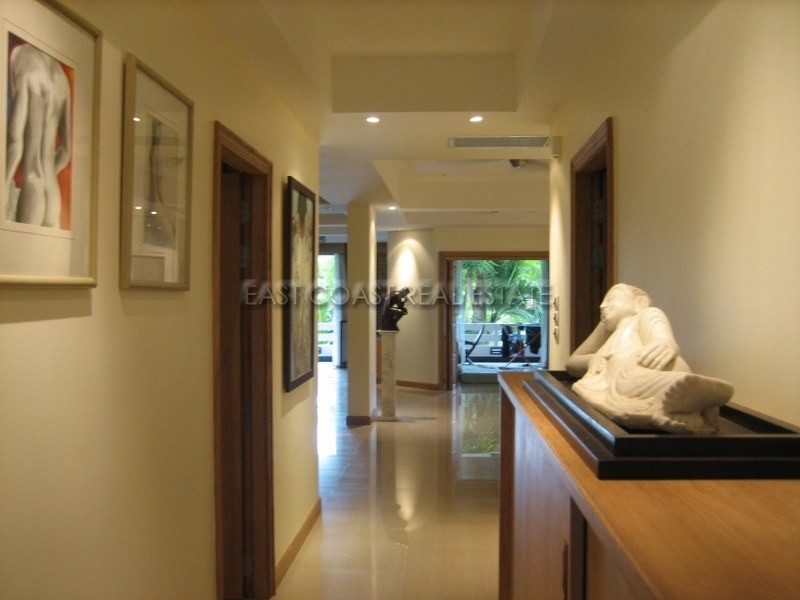 The building is situated close to Jomtien beach, but within easy reach of Pattaya City. 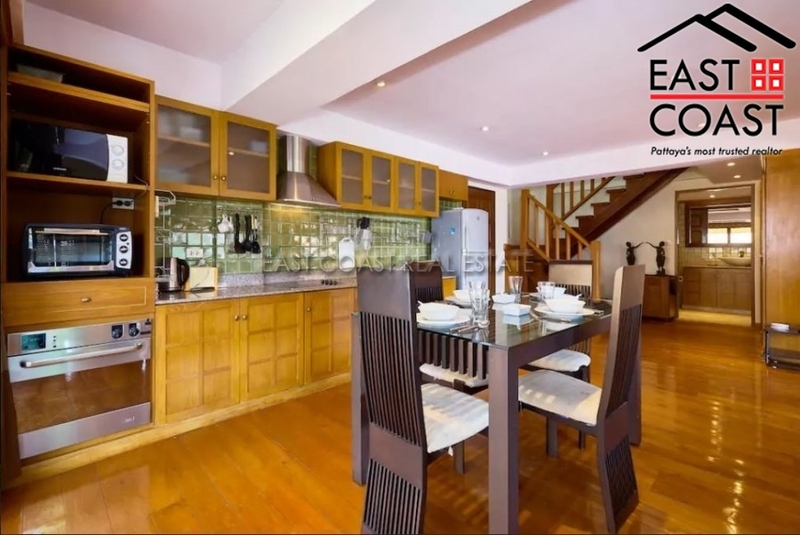 A wide choice of restaurants, bars, and shopping are within walking distance. 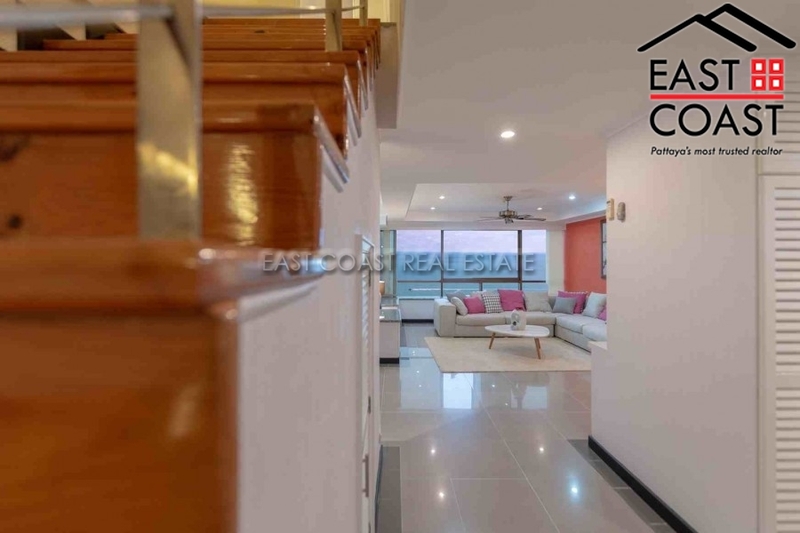 The unit offers 3 bedrooms, split on 3 levels. The ground floor totals 189sq.m and includes a large open plan living room, high spec European kitchen, office, bathroom, plus a master en-suite bedroom. There are also a total of 5 balconies on this floor. The 2nd floor level has been designed as a mezzanine balcony which looks down to the lower level. Here there is a games floor, including an American pool table, and 2 full en-suite bedrooms. The 3rd floor has been left un-furnished, so can be made into a 4th bedroom, extra games room, or office. 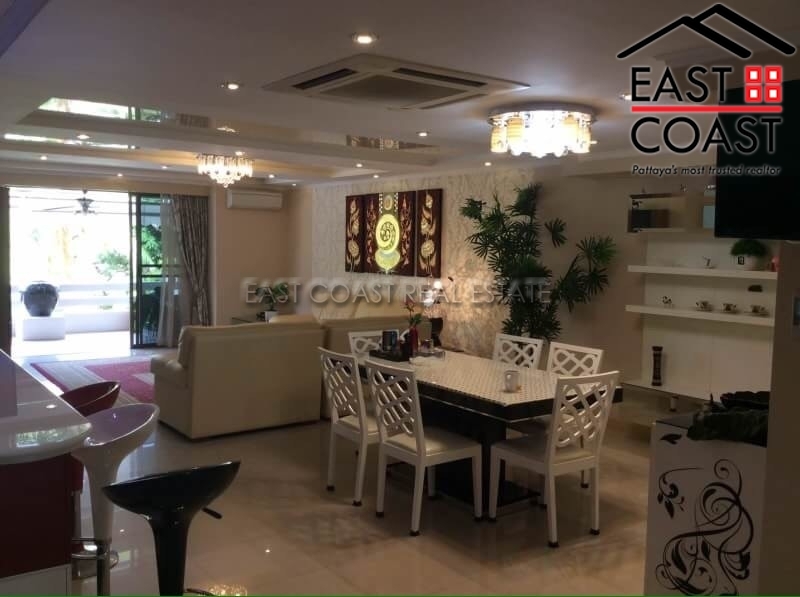 The property is in Foreign name ownership, is sold fully furnished, and all transfer fees will be split 50/50 with the buyer and seller. Grand Condotel. 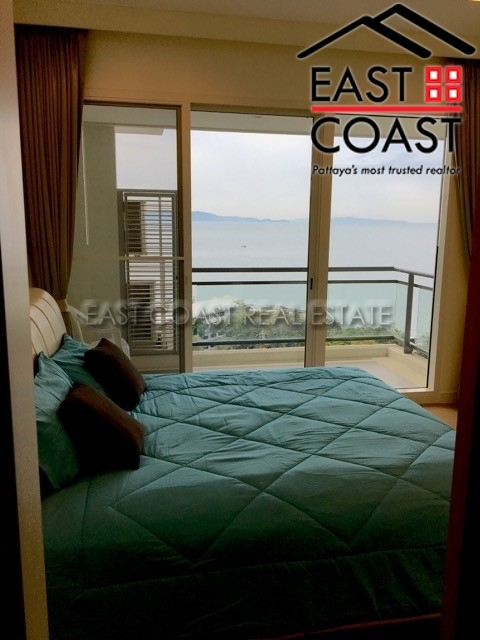 This high rise condominium is located at the beginning of Jomtien area, with a walking way to the beach. 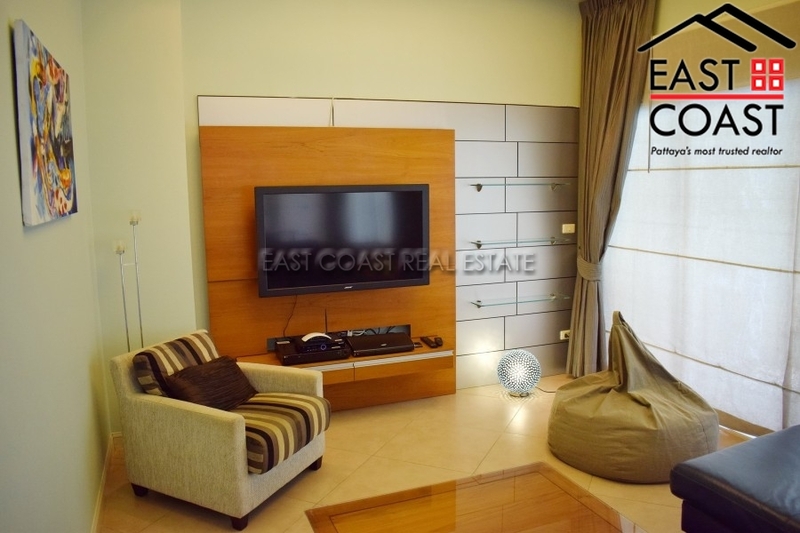 This good sized apartment is 3 bedrooms, 3 bathrooms unit of 196sq.m. 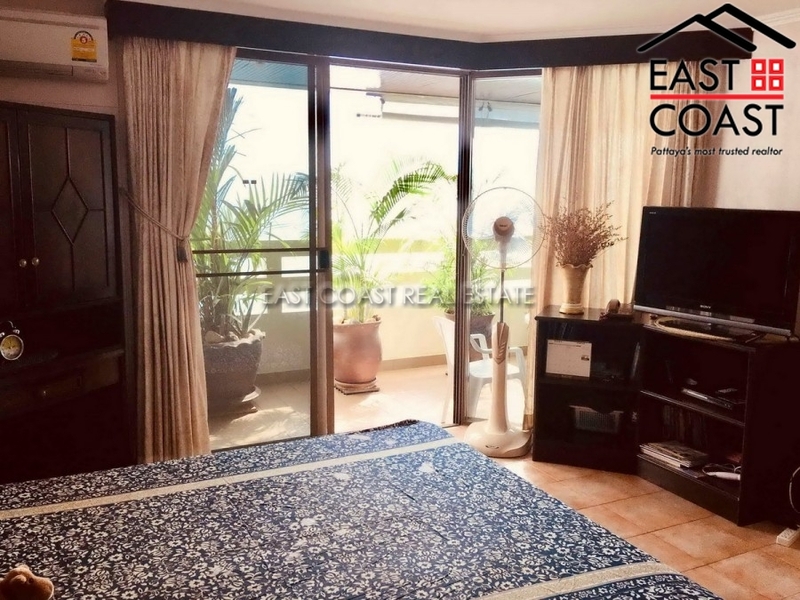 is located on the 2nd floor and offers garden view, The unit features open plan living/ dining area, fully fitted European kitchen with hood, hob, oven, dishwasher. Grand Condotel has excellent facilities including a big communal pool, tennis court, sauna, table tennis room and 24-hour security. Available for sale in foreign name with tax & transfers split 50/50 and also available for rent fully furnished and a minimum of 6 months contract. Grand Condo. 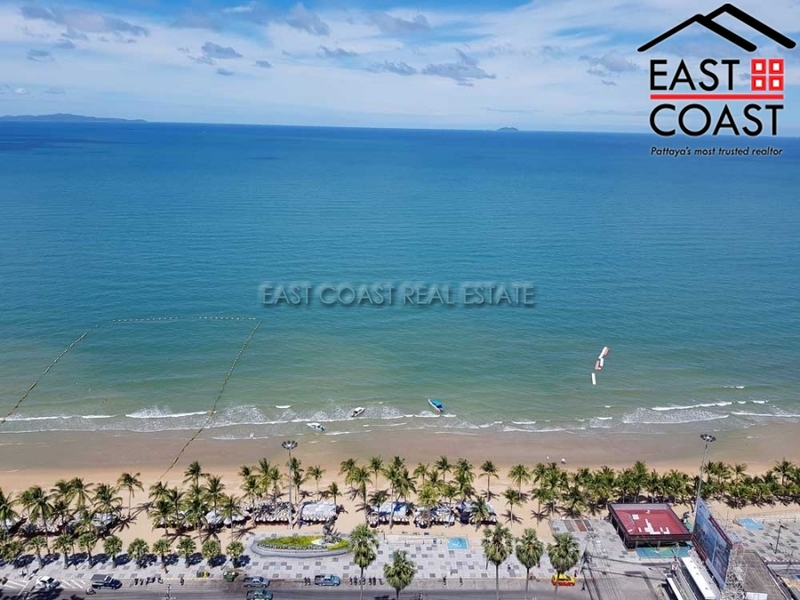 This building is perfectly located in the heart of Jomtien, directly on the beach, offering good facilities, and breathtaking views. 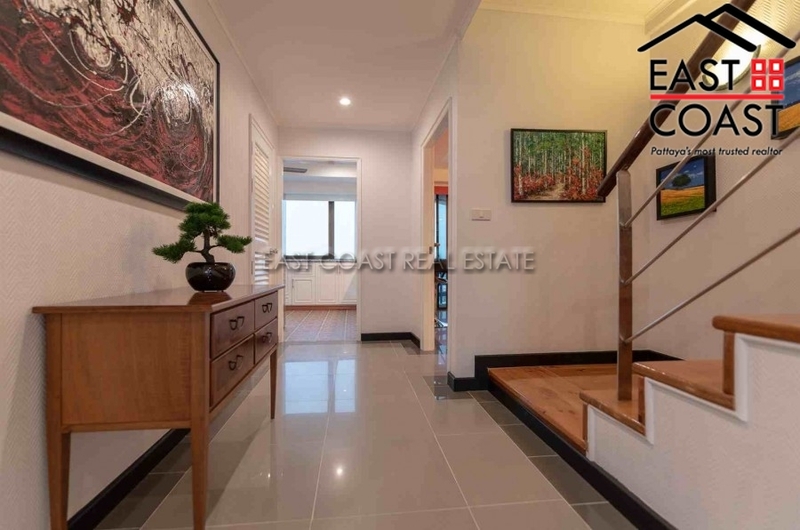 This top floor Duplex, 3 bed/ 2 baht unit of 192 m² is on the 17th and 18th floor. 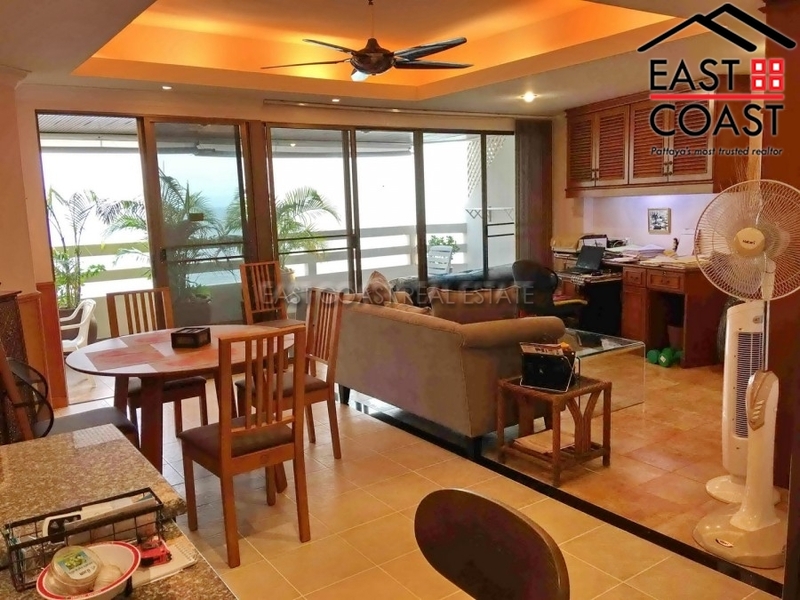 This unit has spectacular views across the ocean towards the neighboring island plus sunsets are also enjoyed all year round. 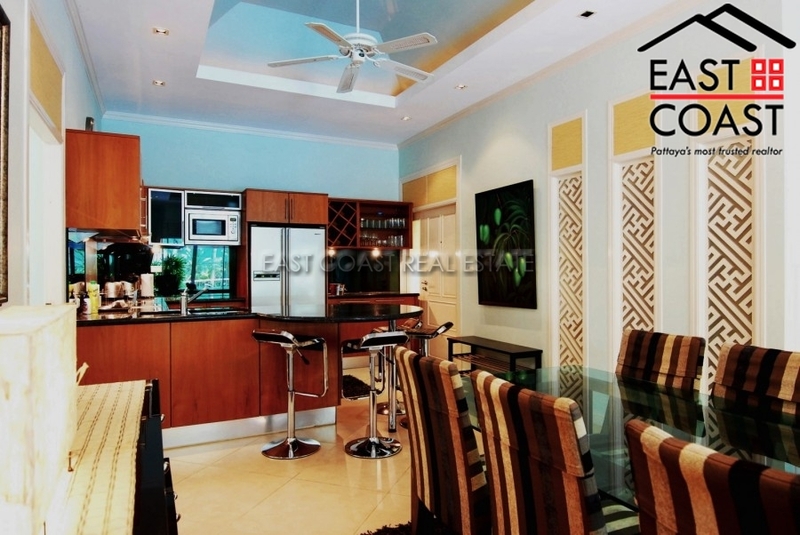 The condo comes with fitted European kitchen, air cons, 2 large balconies running the whole width of the apartment. 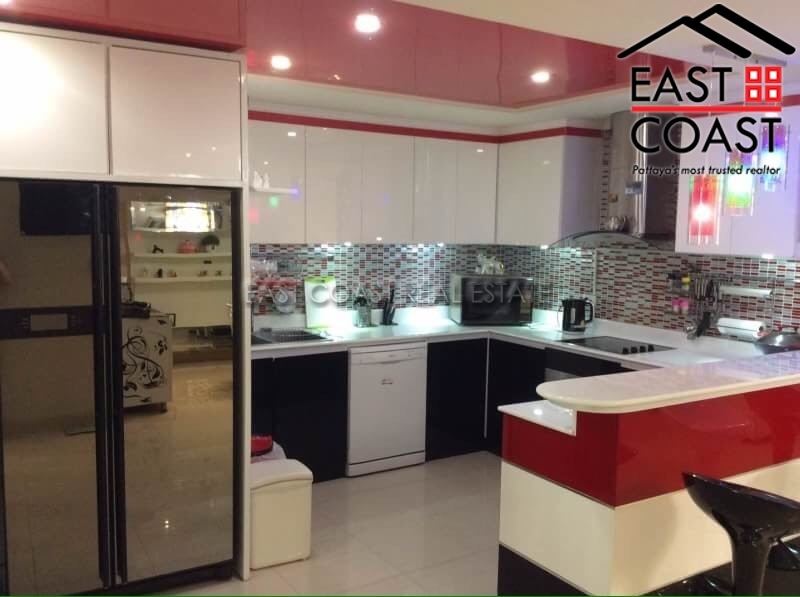 A very convenient apartment with transportation, shops, restaurants etc right outside the building. 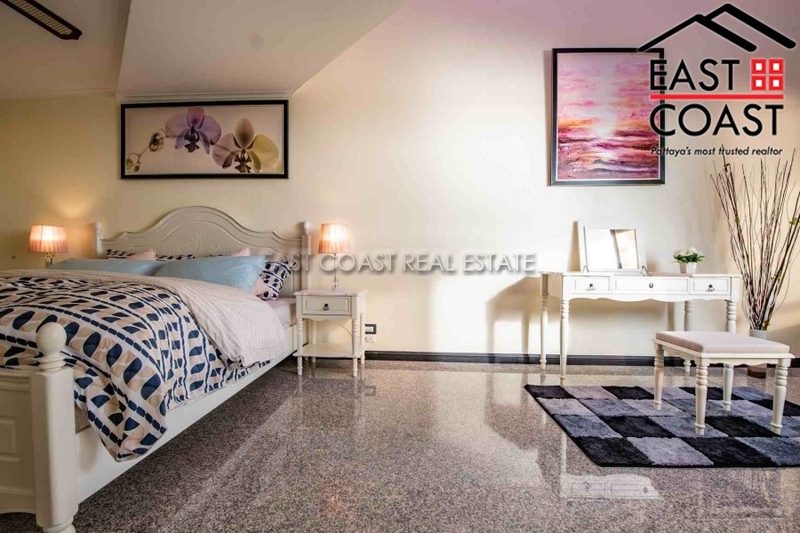 Facilities include 2 tennis courts, large communal swimming pool, gymnasium, snooker room, extensive undercover parking and a private elevated walkway with direct elevator to access the Dongtan beach. Title deed held in Foreign ownership. Grand Condo. 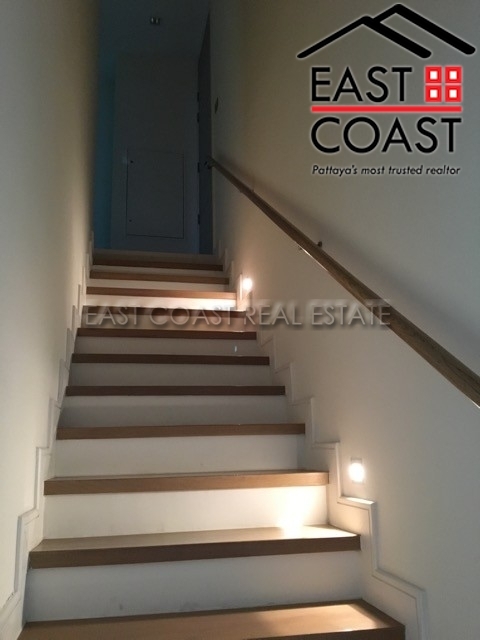 This "Top floor Duplex" apartment is located in a direct beach front development along Dongtan Beach and for sale at below 48,000 Baht per sq.m.!!! 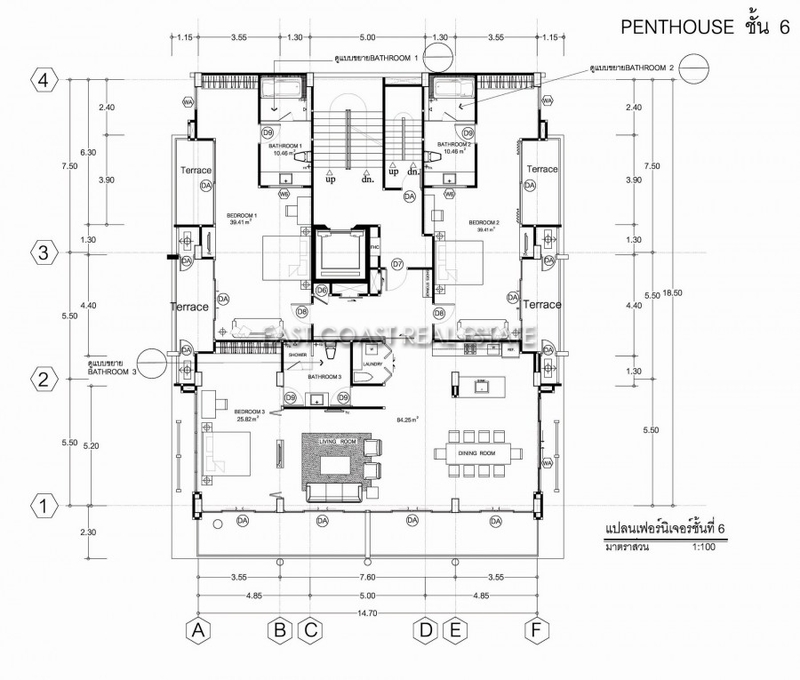 The condo is a massive 304 sq.m. occupying the entire width of the building. 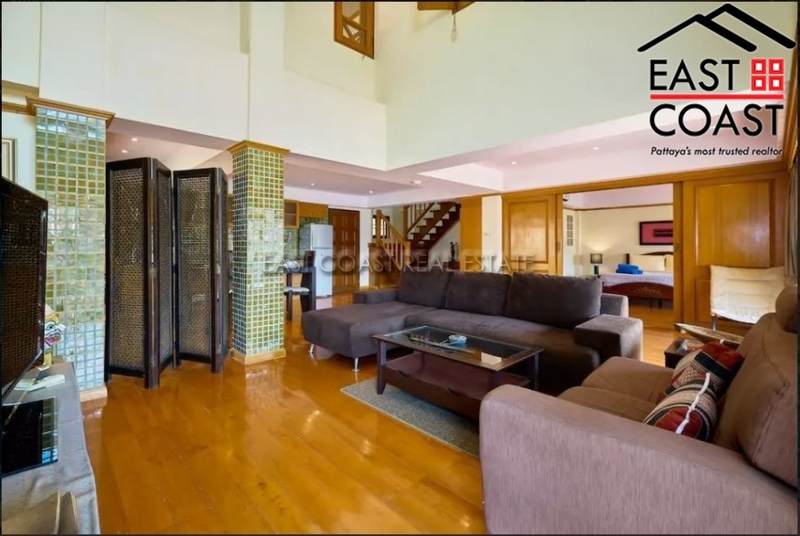 It comprises of 5 bedrooms, 4 bathrooms, 2 living area, dining area, kitchen and large balconies which offers the most spectacular views across the ocean the neighbouring island and also the back view of the mountain. Sunsets are also enjoyed all year round. 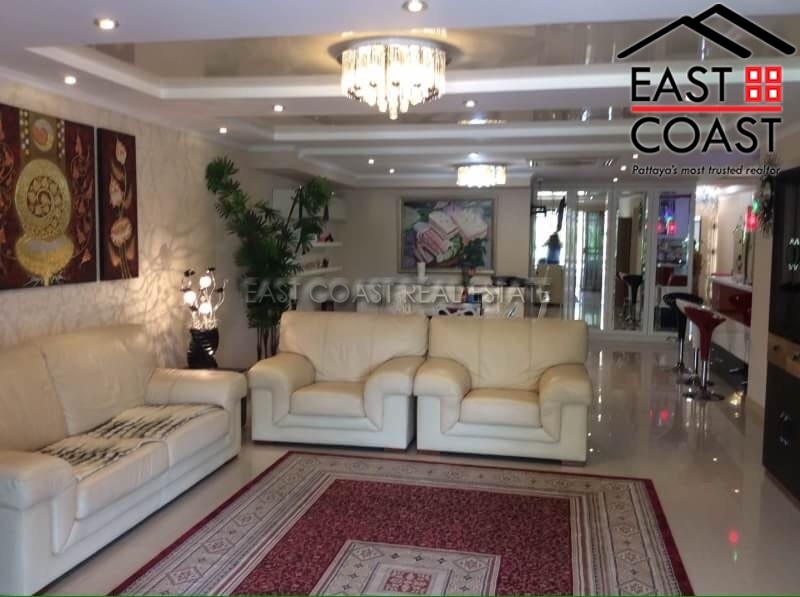 A very convenient apartment with transportation, shops, restaurants etc right outside the building. This unit must be seen to appreciate the value. 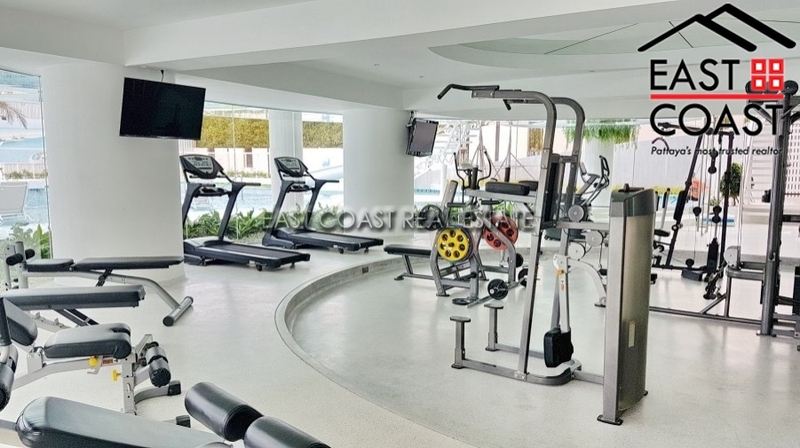 Grand Condo offers good facilities: 2 swimming pools, tennis courts, ample of parking space, keycard access, gym, games room, children's playground, 24 hour security, and private access to the beach. 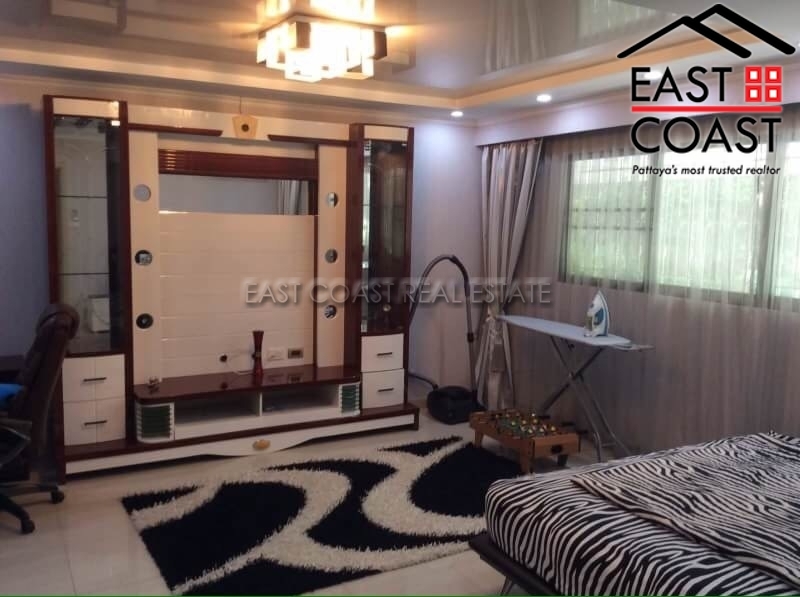 The unit is to be sold fully furnished in an "as is" condition. Title deed is held in foreign ownership with taxes and transfer fees to be be split equally between both parties. 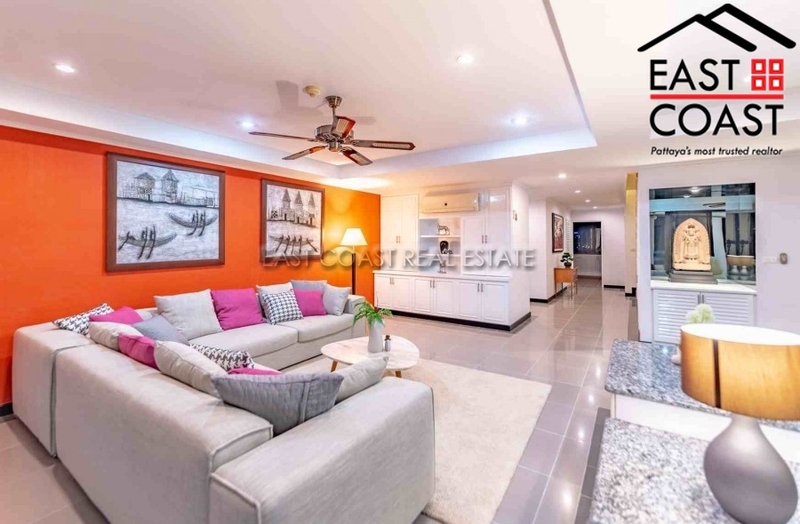 An ultra modern three bedroom apartment located in the popular Jomtien Plaza development within a few minutes walk of the exclusive Dongtan Beach , with Jomtiens bars, shops, nightlife and restaurants nearby. 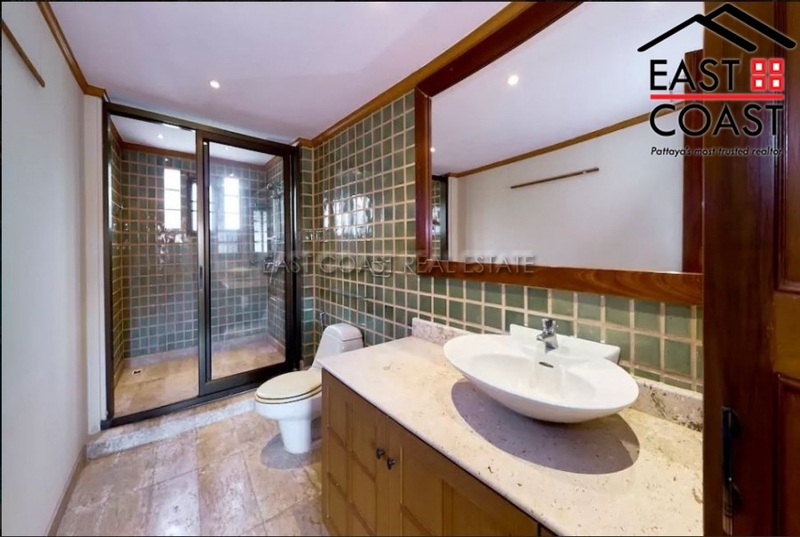 The property has recently been refurbished to an extremely high standard. 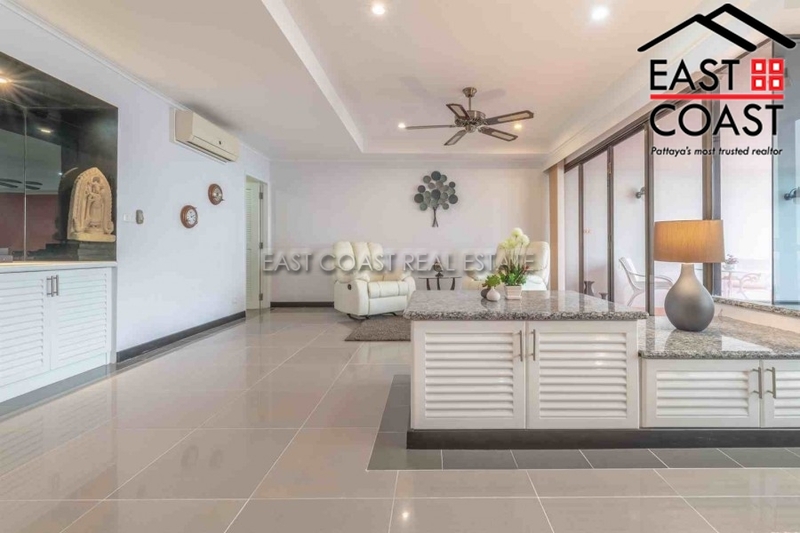 The property comprises a spacious living room with plenty of natural light, tiled floors, plasma TV, and direct ocean views from spacious balcony, a fully integrated kitchen with built-in water filtration system with dining area and three double bedrooms, two with newly refurbished en suite bathrooms. The building has 24 hour security, communal swimming pool and easy beach access. For sale in title deed held under Foreign name ownership. 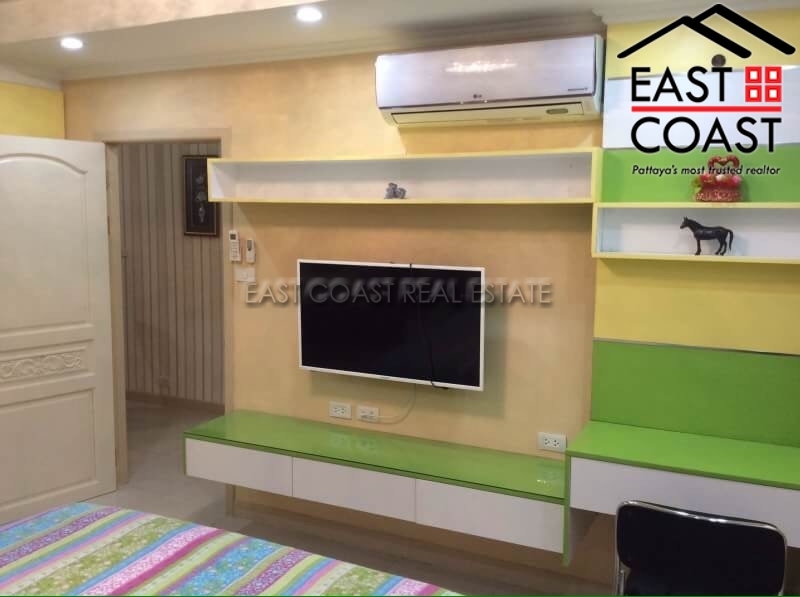 Rental price advertised is for a 1 year contract, 6 months is slightly higher at 55,000 Baht per month. 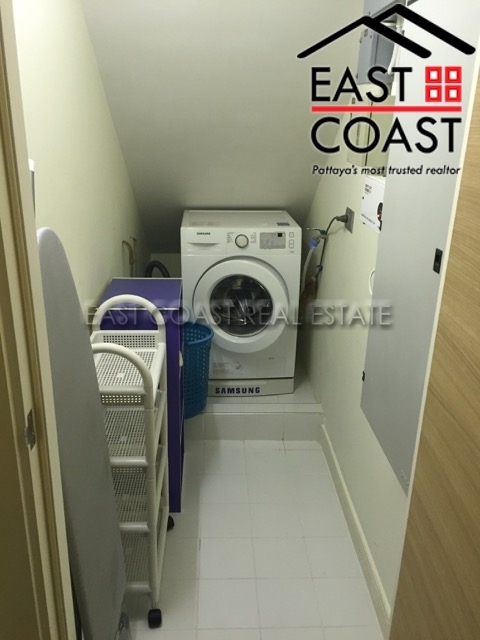 The owner will also consider renting it as a 2 bedroom at 45,000 Baht per month for a 6 months contract or 40,000 Baht per month for 12 months contract. Jomtien Complex. 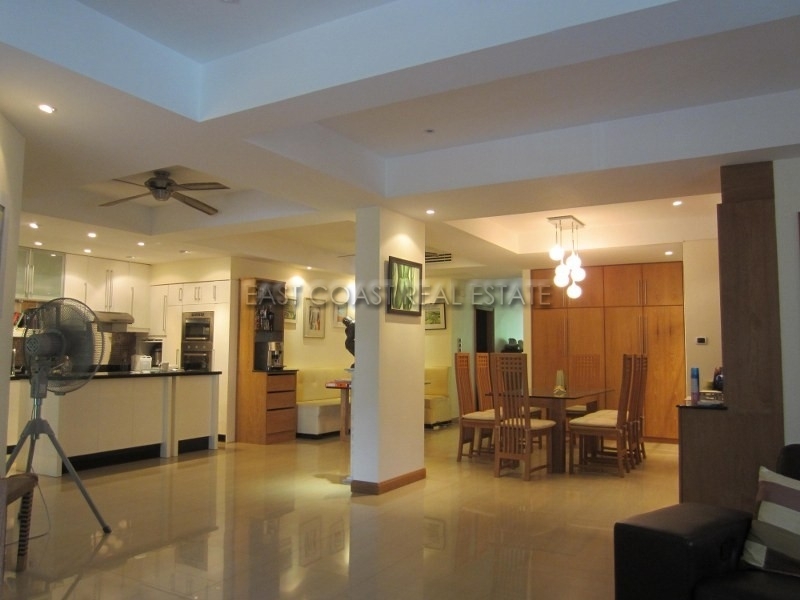 This is a 2 storey top-floor Penthouse in one of Jomtien's most popular building. 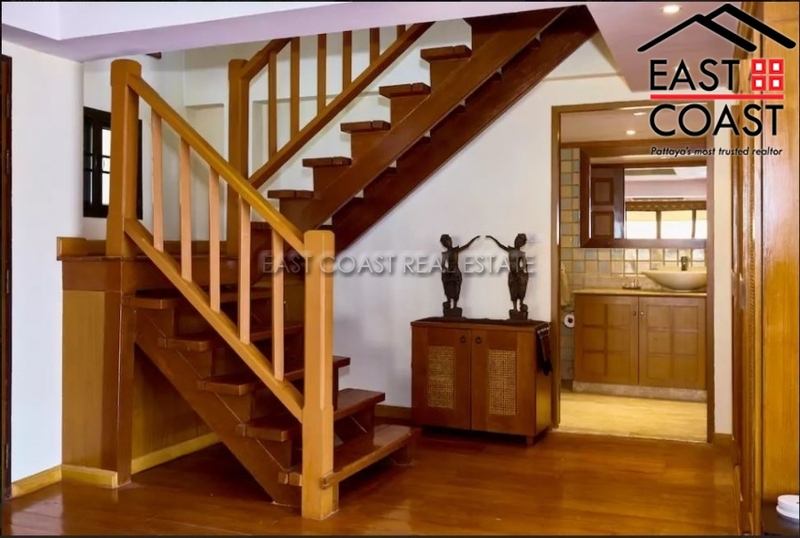 This 4 bedroom condo is a duplex style with a spacious living area, fitted kitchen, maid's room, store room and spacious balconies with panoramic views! 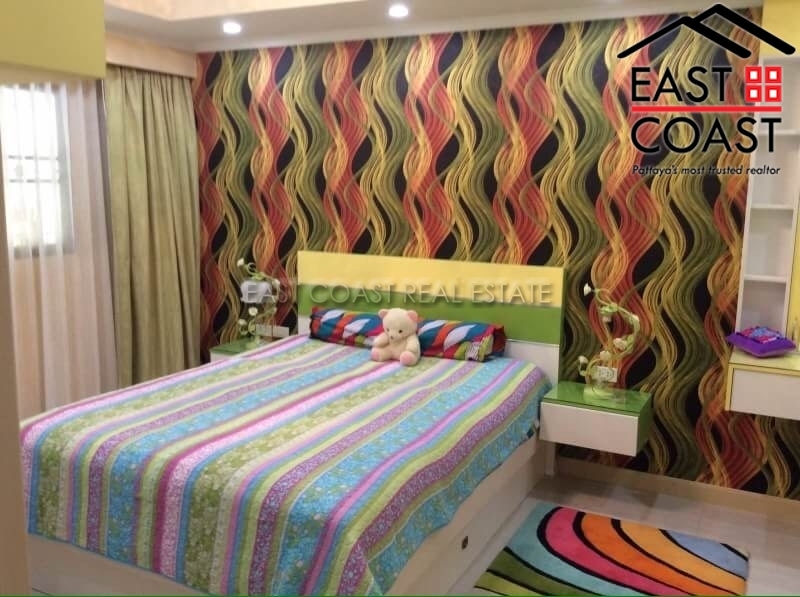 The second floor features 3 bedrooms/bathrooms with walk-in wardrobes and also a sound-proofed Cinema room. 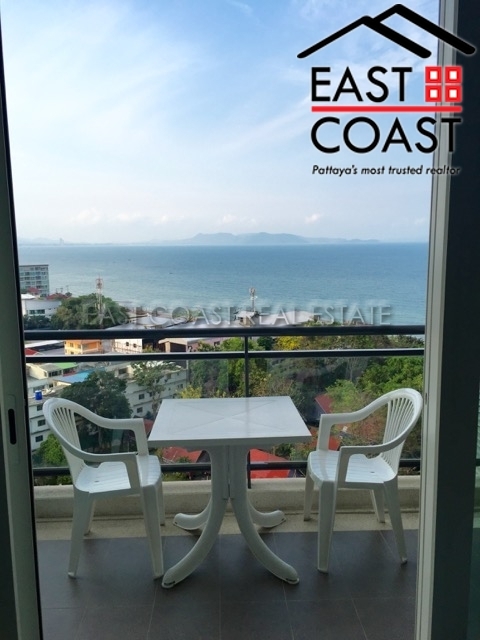 There area total of 4 balconies offering superb views of Pattaya City and the ocean! 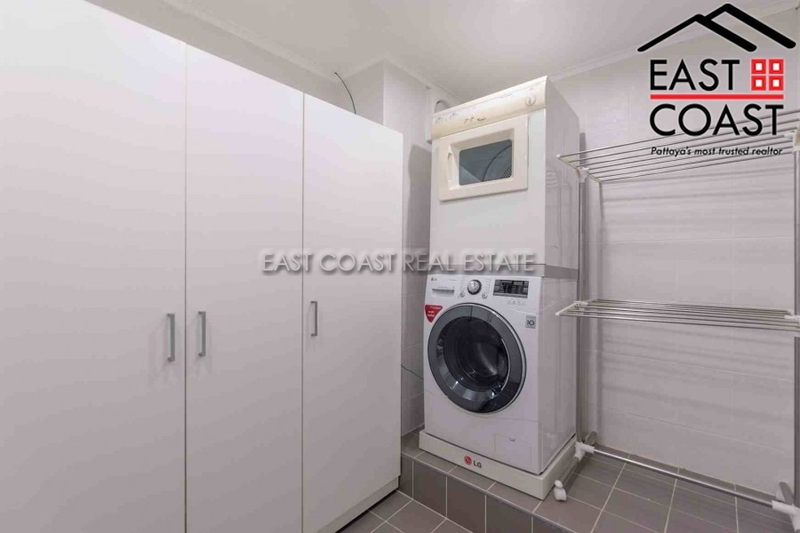 This unit is all original and can be lived in now or it can be an incredible opportunity for someone who wants to renovate and have something very special. 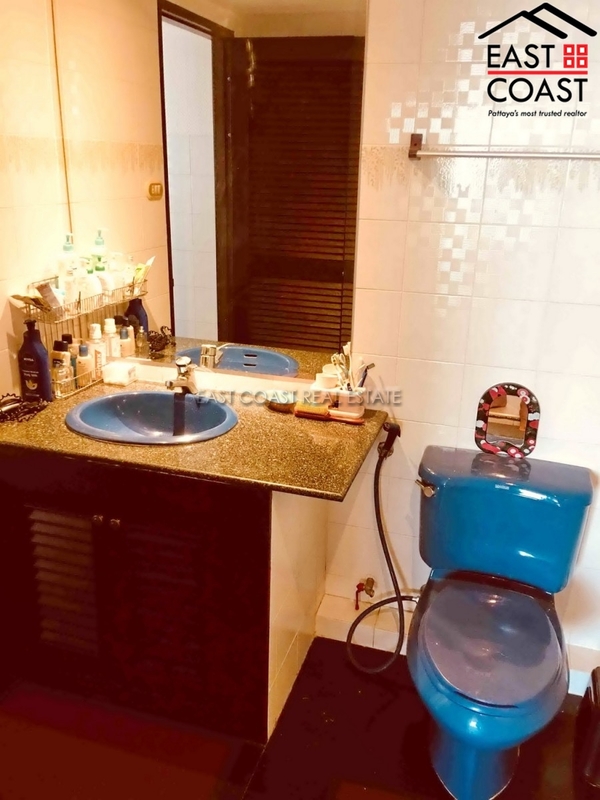 It's for sale with all fittings, fixtures and furniture included. 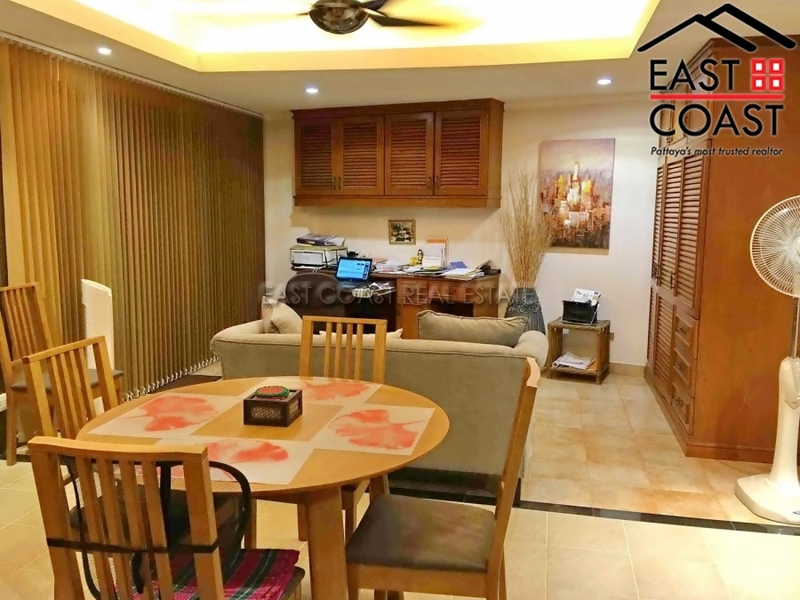 The condominium is located right at the corner of Jomtien Beach and is walking distance to all amenities and Dongtan Beach. 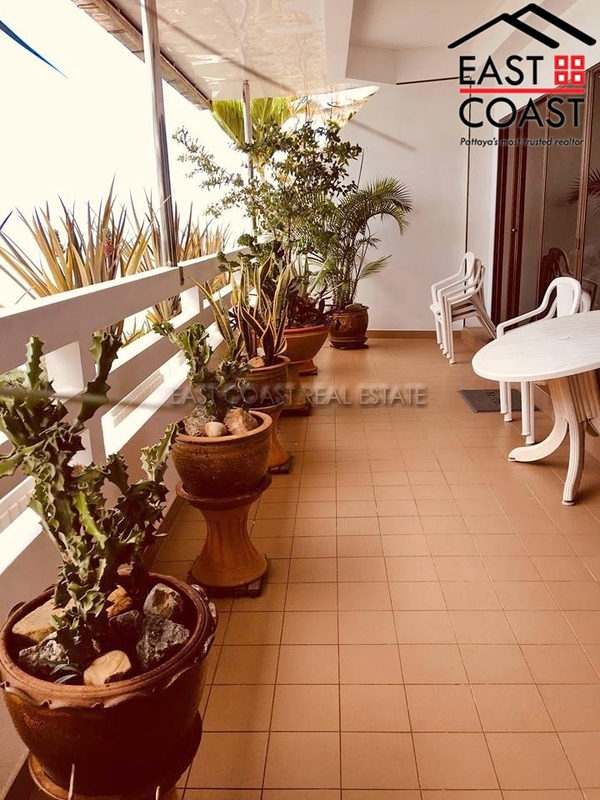 The building itself is well maintained and has 24 hour security, CCTV, communal swimming pool, ample car parking, 2 tennis courts, sauna, fitness and games room. Title deed is currently held in Thai name with tax & transfer fees split 50/50. Grand Condotel. 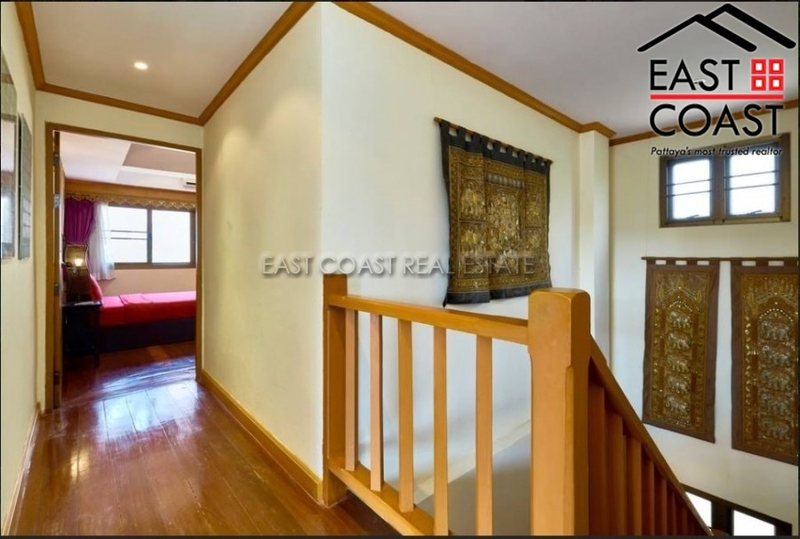 This massive apartment is for sale in a centrally placed condo. 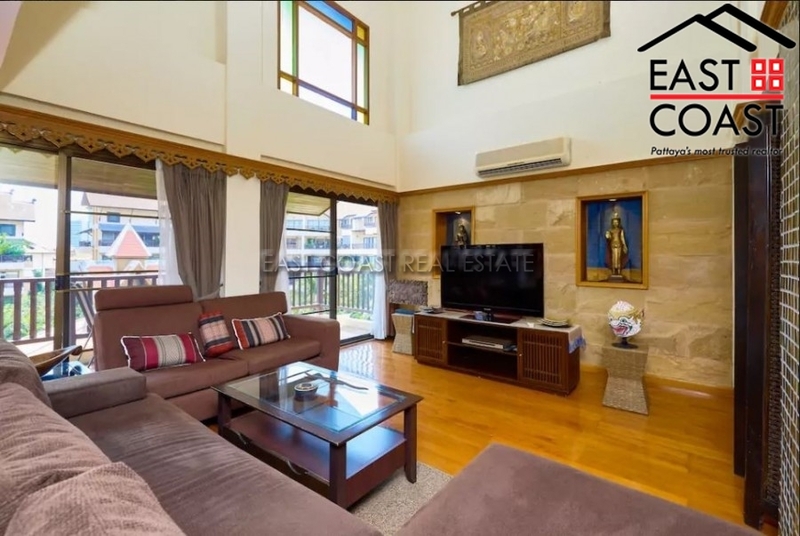 Measuring a whopping 196m², there are 3 good sized bedrooms and bathrooms, massive living area and deep balcony which really is another living room. 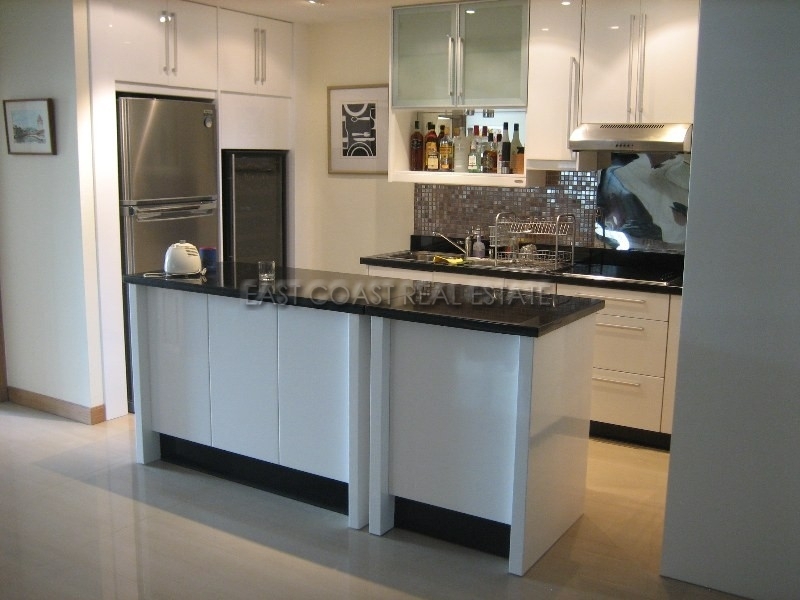 The apartment has been tastefully furnished, and has a modern European kitchen with island. Grand Condotel has great facilities including direct access to Dongtan Beach. 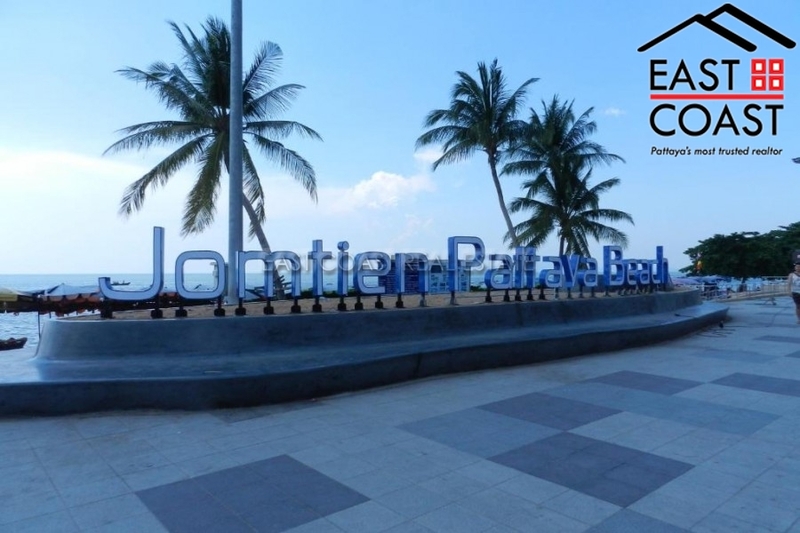 It's an easy stroll along the promenade to downtown Jomtien, with its many markets, restaurants and nightlife. Available for sale in foreign name with tax & transfers split 50/50. 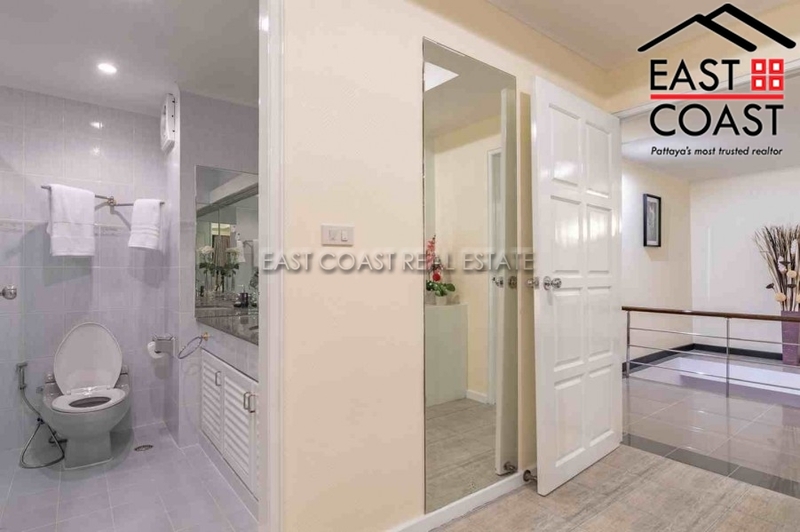 Jomtien Plaza Condominium. 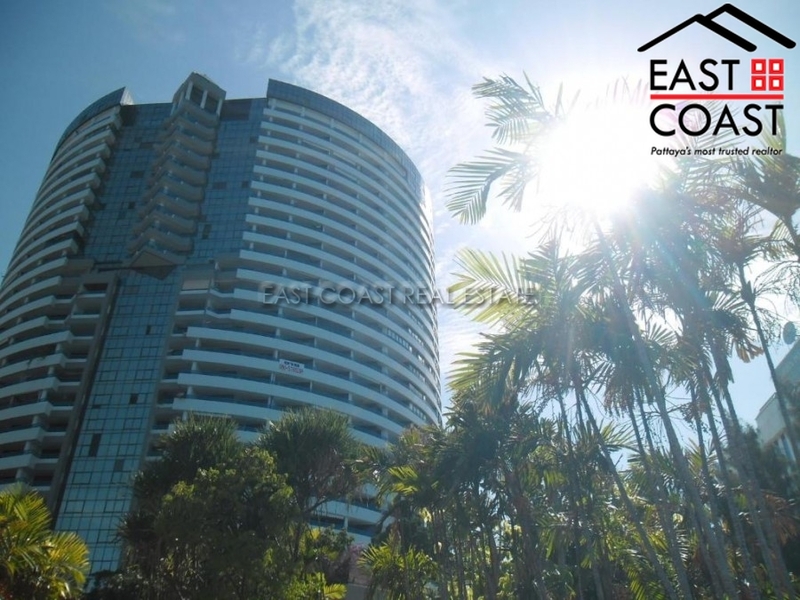 This beachfront tower is an established building in the Jomtien skyline offering sea-view apartments on every floor. 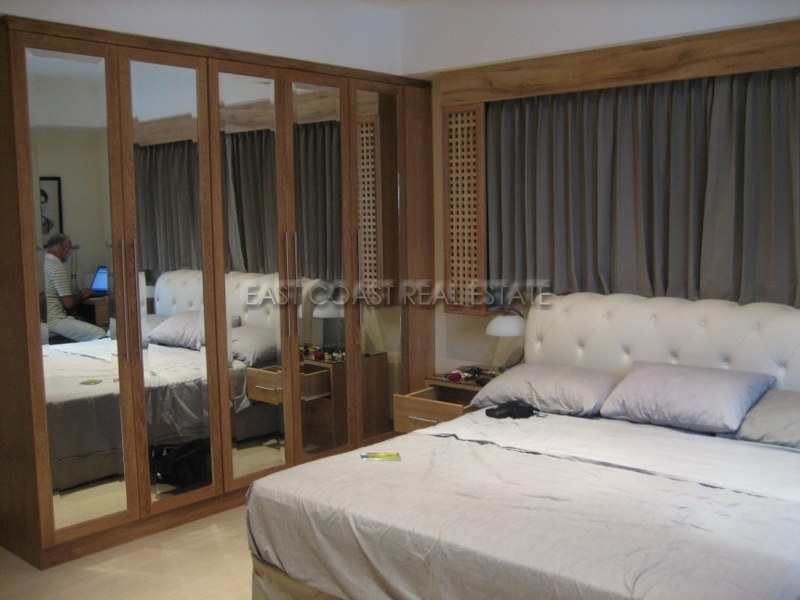 This 17th floor 3 Bedroom, 2 Bathroom is a total of 154 sq.m. and comes fully furnished. The property needs renovating to make the most of the beachfront location and views!! 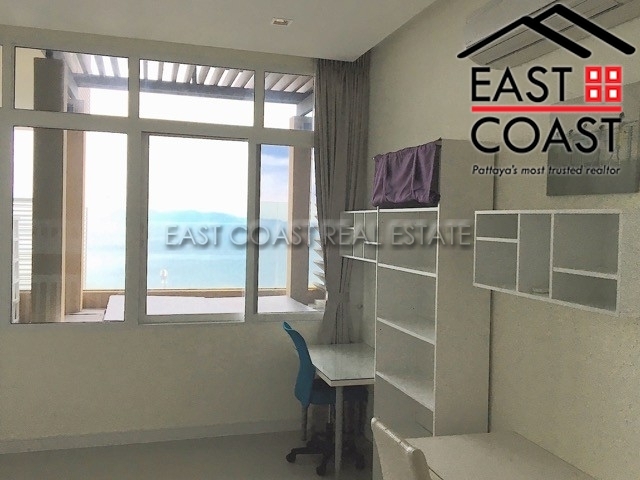 The building is ideally located with easy access to all shops, restaurants and nightlife, and offers 2-storey car parking, a communal swimming pool, and 24 hour security. It is owned in Thai name with tax & transfer fees split 50/50. 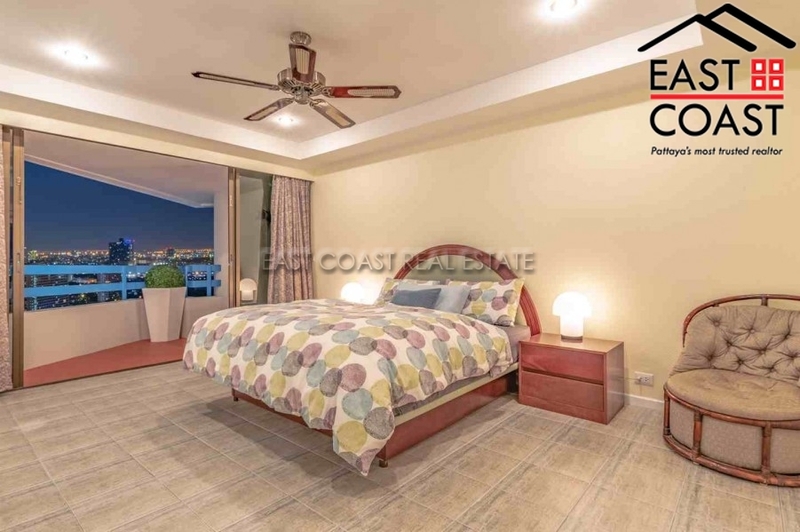 Positioned on the 16th Floor of the Jomtien Beach Development is this substantial 3 bedroom condo measuring 188 SQM. 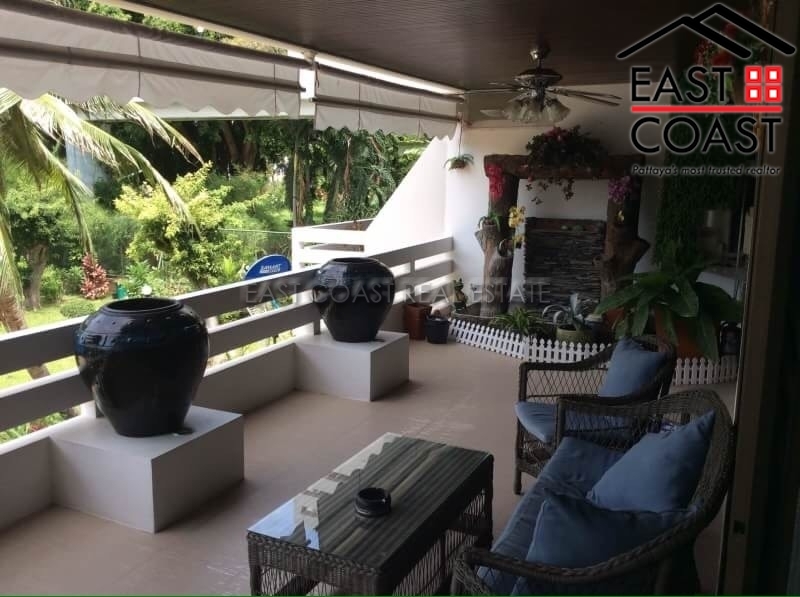 With Far reaching sea views out to the sunsetting behind Koh Larn the property benefits form a large wrap around balcony perfect for dining Alfresco! 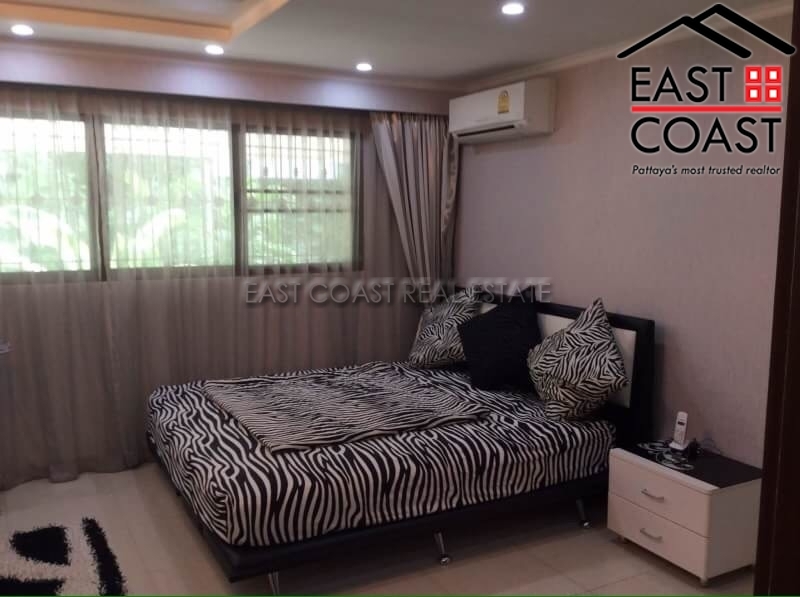 Inside the unit has been very well maintained featuring a tasteful décor throughout and good quality fixtures and fittings. 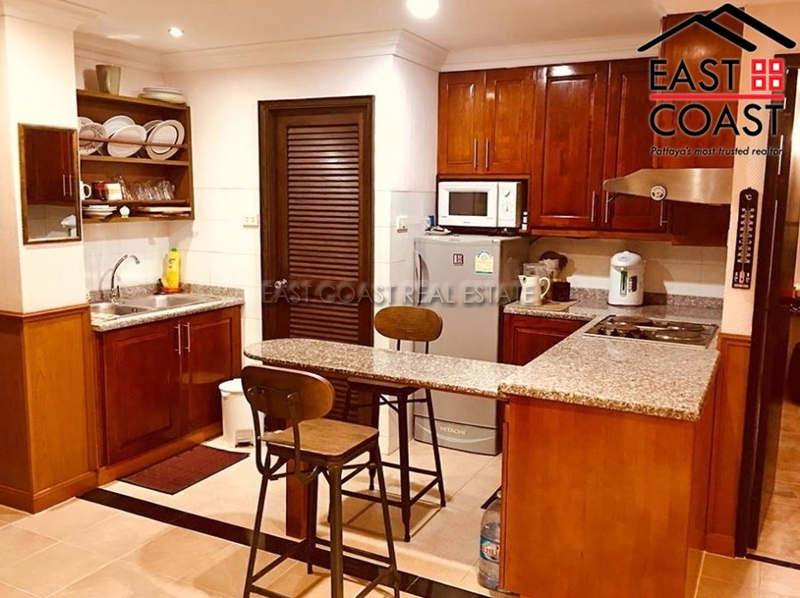 There are 3 large double bedrooms, 2 bathrooms and an open plan living arrangement from the lounge TV area, dining area and modern European kitchen with breakfast bar which includes oven, dishwasher, large fridge freezer and there is also a washing machine in the apartment. 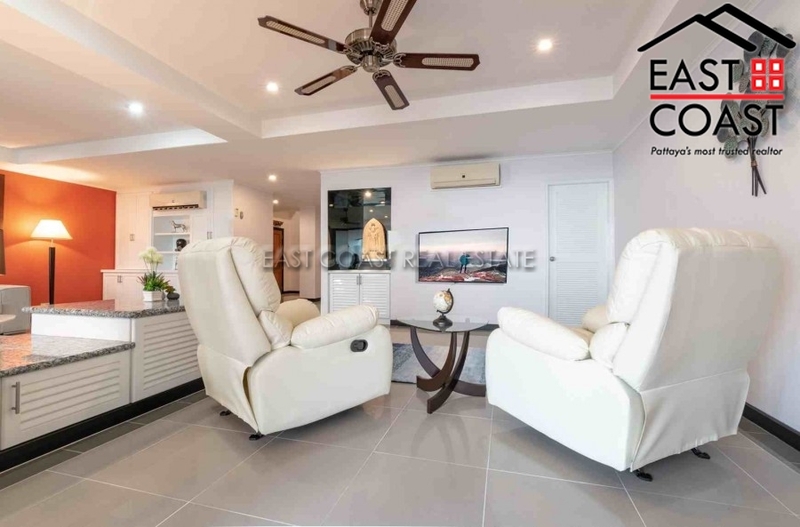 Jomtien Beach Paradise condominium development is situated on the quiet end of the Jomtien beach road yet still has easy access to Pattaya City and local amenities benefiting from Jomtien’s 6km sandy beach on the doorstep. 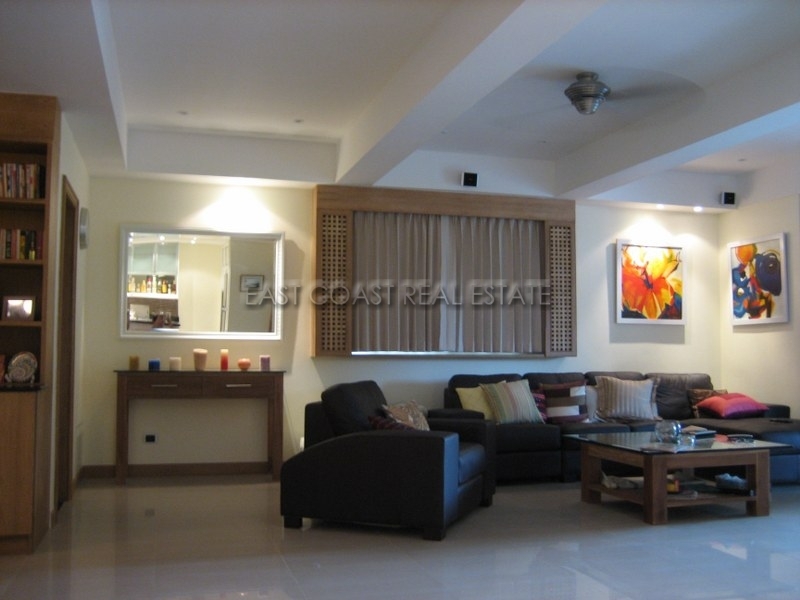 Communally there is a large swimming pool, gymnasium, CCTV and 24 Hour Security. 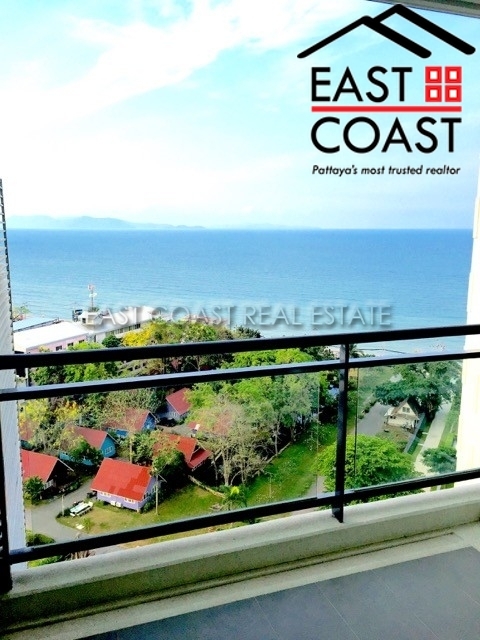 View Talay 2, Building B. 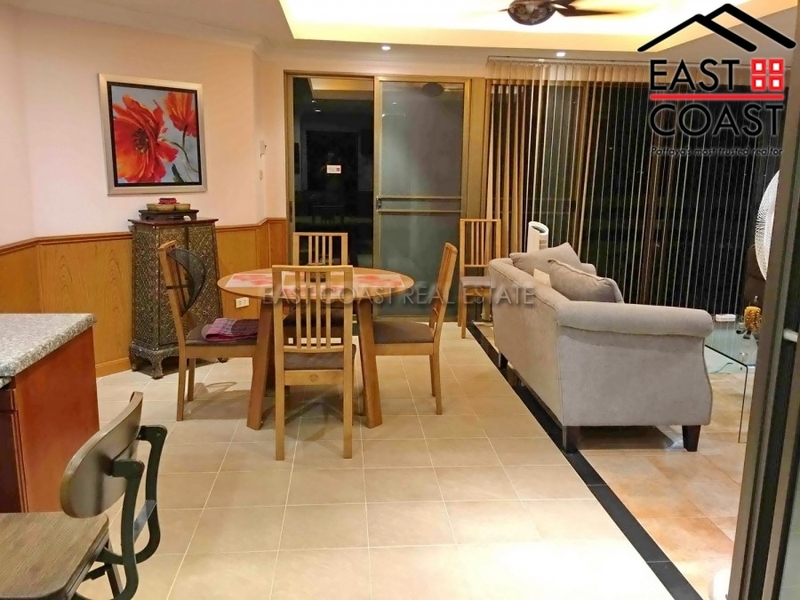 This rare 3 bedroomed apartment is located on the top floor of one of Jomtien’s popular condominium complex. 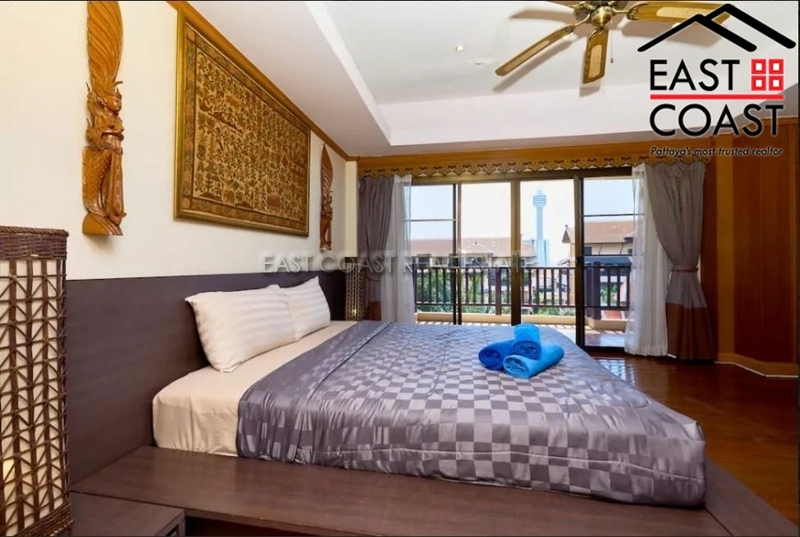 Centrally situated the complex offers easy access to several International and Thai restaurants, mini-marts, shops and public transport. Jomtien Beach is also within walking distance from here. 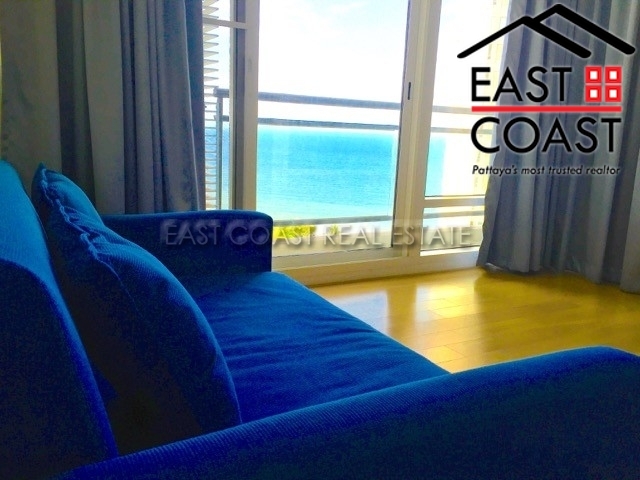 This spacious 204 m² apartment is North facing (cooler side) and offers views of the ocean and City. 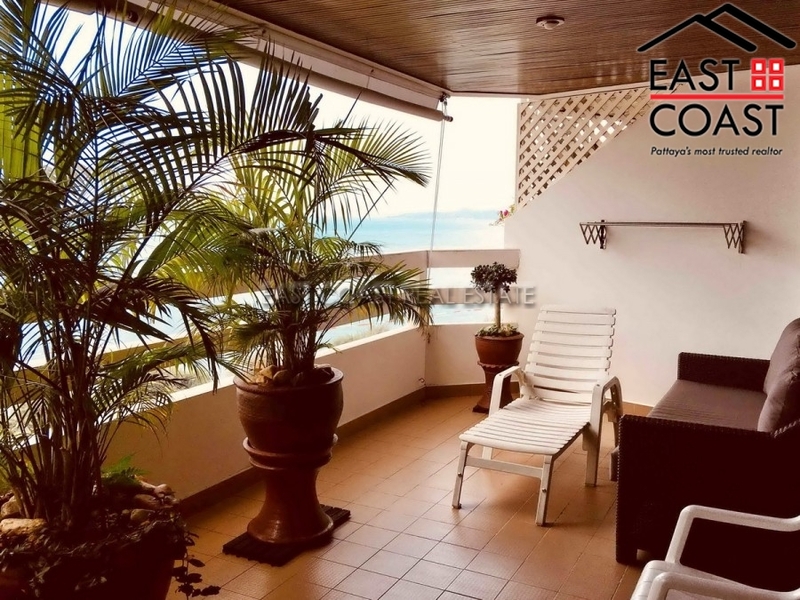 The condo is well furnished with quality wood furniture, fitted European kitchen, 5 balconies, full A/C throughout and large built-in wardrobes in all bedrooms. 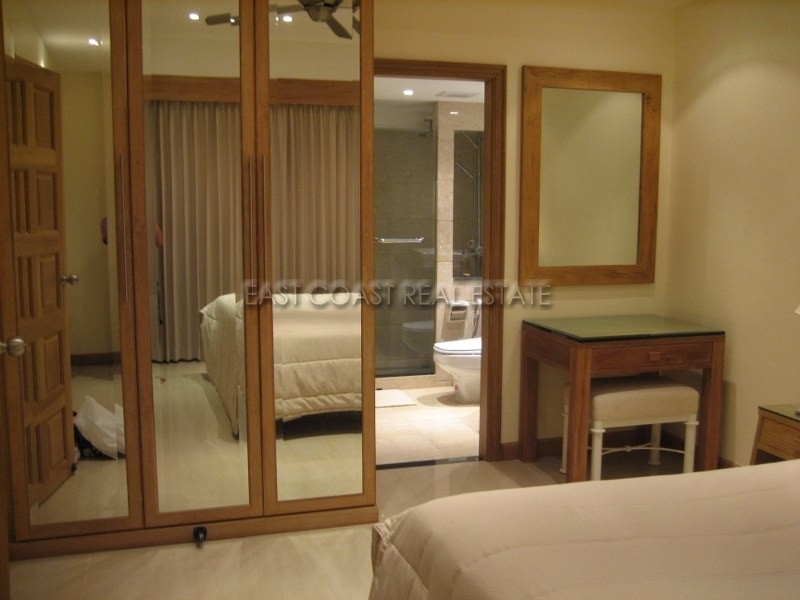 The bedrooms are well sized and two having their own en-suite bathroom. The building has a large communal swimming pool, on-suite restaurants, plenty of shops on the ground floor, 24 hour security, key card access and plenty of parking space. 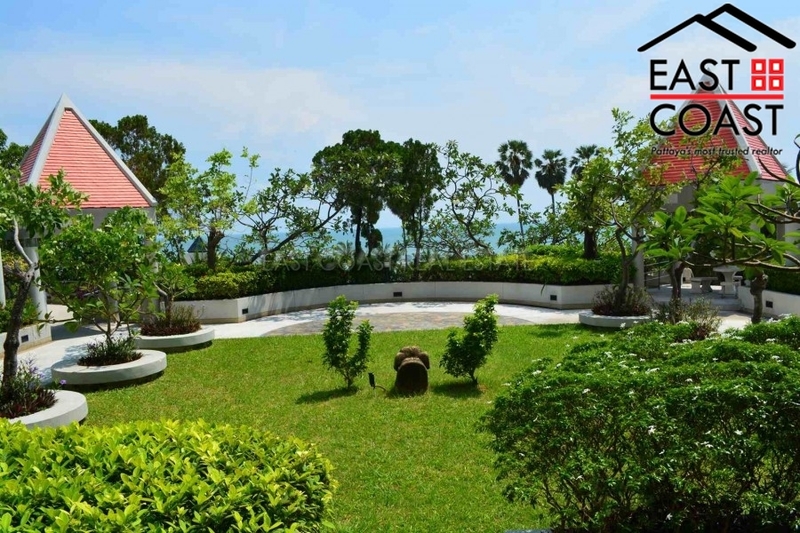 It is available for sale with title deed held under Thai Company name or for long term rental of minimum 12 months. The Residence. 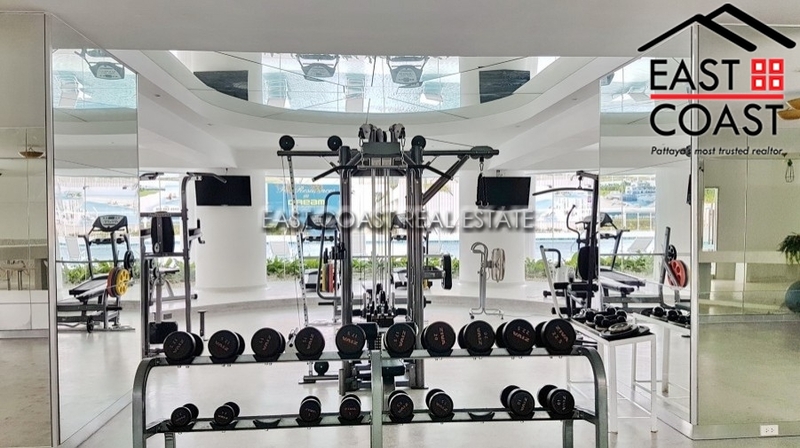 This building is located in Jomtien, allowing access to Jomtien beach within 5 minutes, and offering state of the art security, larger than average unit sizes, a spectacular infinity swimming pool which surrounded by lush tropical gardens and fitness area. 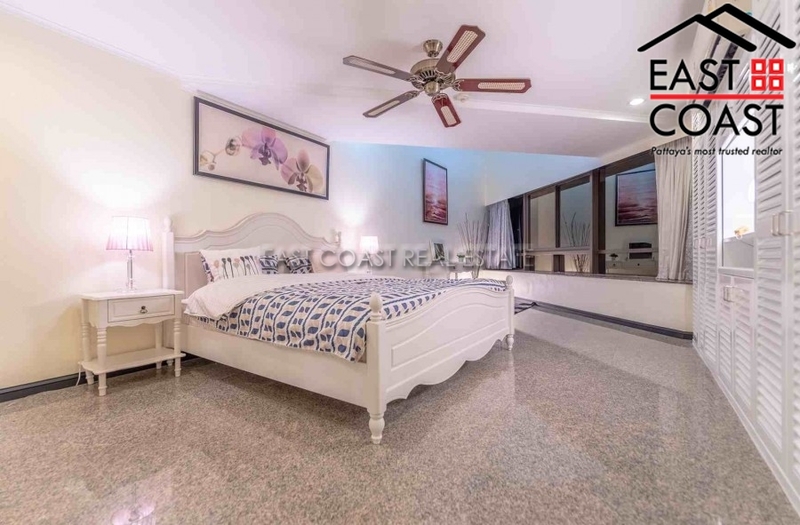 This unique and spectacular 3 bedroom unit here is located on the ground floor with private pool entry!! The unit features a fantastic full length balcony upon which to enjoy the spectacular views of the large lagoon style pool and greenery. 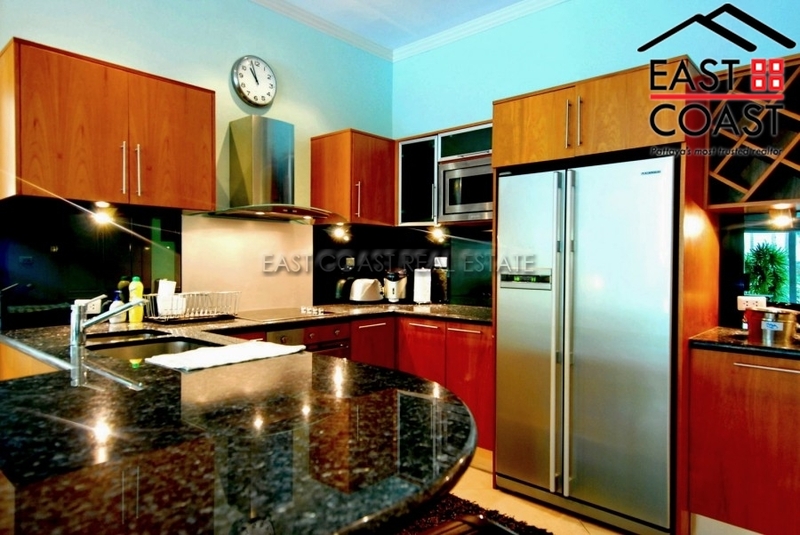 Inside there is a great fitted kitchen, stylish bedrooms and bathrooms. 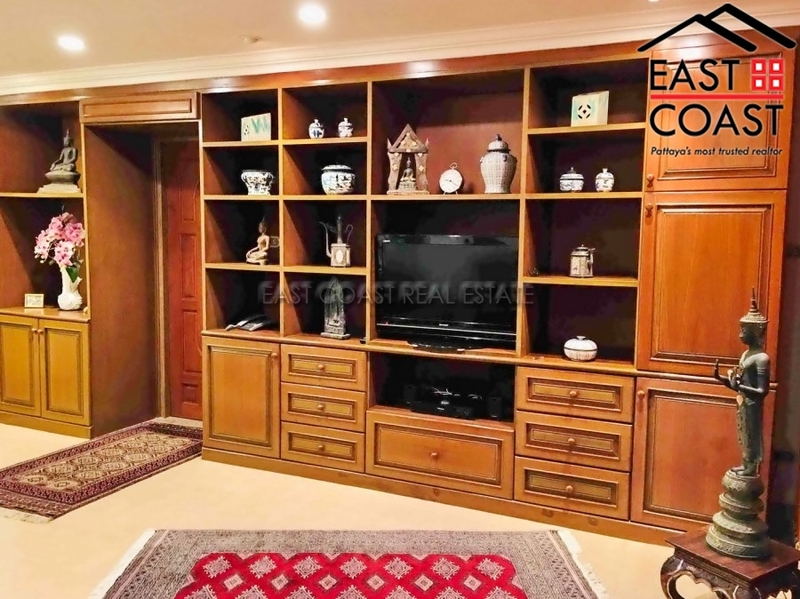 It is fully furnished with designer interior with lots of storage available, 3 large LCD TV\'s, home theater system, Cable TV, full A/C and WIFI. The unit is held in Thai company name ownership. 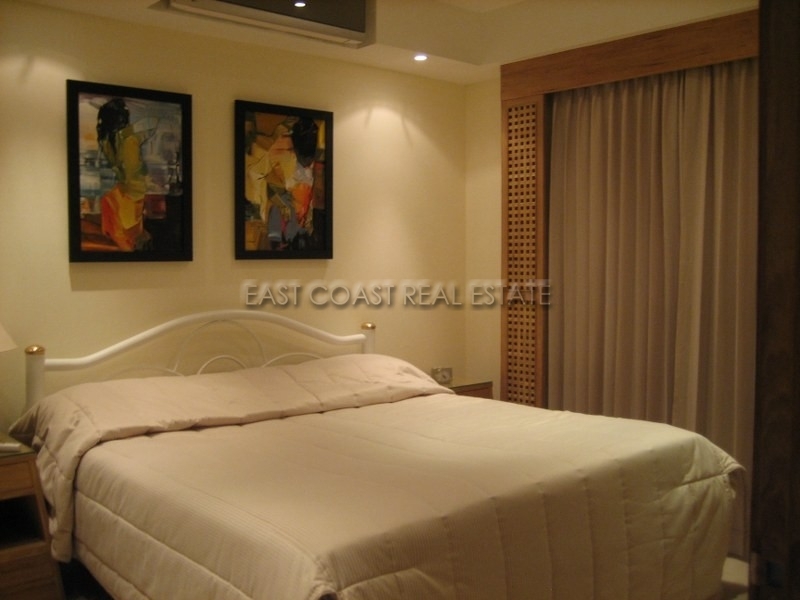 The unit is also available for rent with a minimum 1 year contract with 2 months held as security deposit. A must see unit!! By appointment only! !